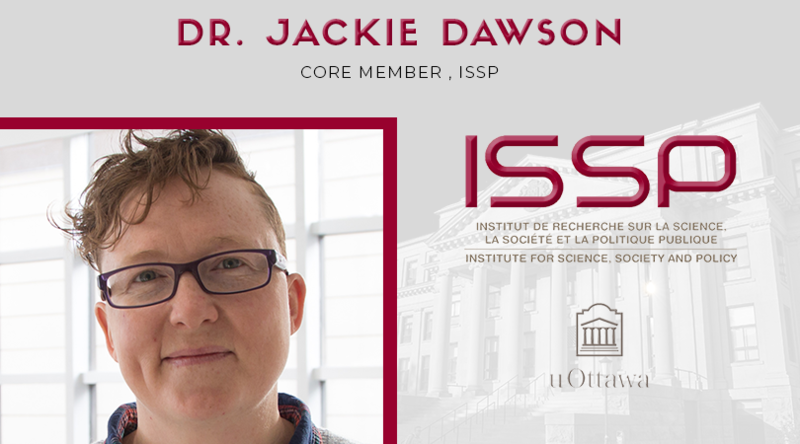 Congratulations to Dr. Jackie Dawson, Core Member of the ISSP, Assistant Professor, Department of Geography, the Canada Research Chair in Environment, Society and Policy and ArcticNet’s scientific co-director at the University of Ottawa for having funding for ArcticNet renewed at a level of $32,475,000 over five years. 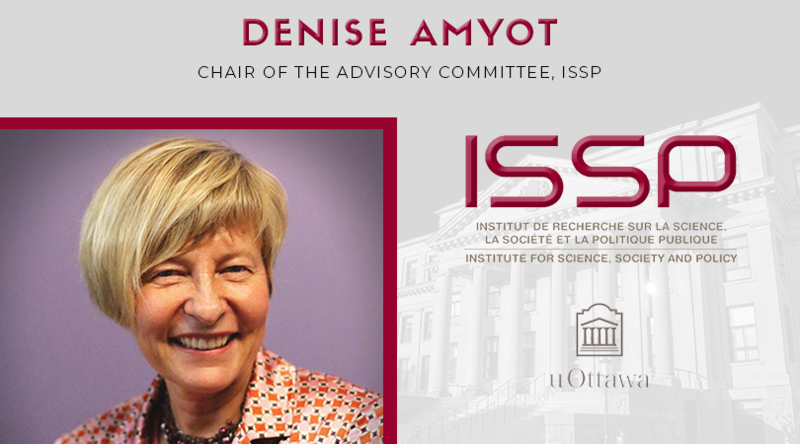 The Canadian Press article with a quote from Denise Amyot, Chair of the ISSP Advisory Committee, as well as President and CEO of Colleges and Institutes Canada. 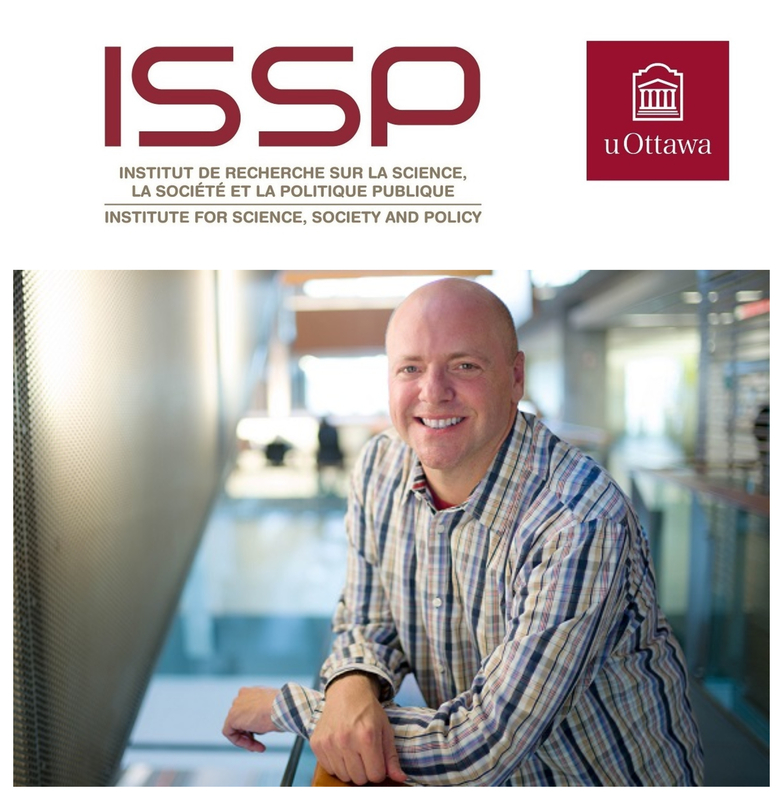 The Ottawa Citizen article with a quote from Dr. Ian Kerr, ISSP Core Member, Law Professor at University of Ottawa and Canada Research Chair in ethics, law and technology. 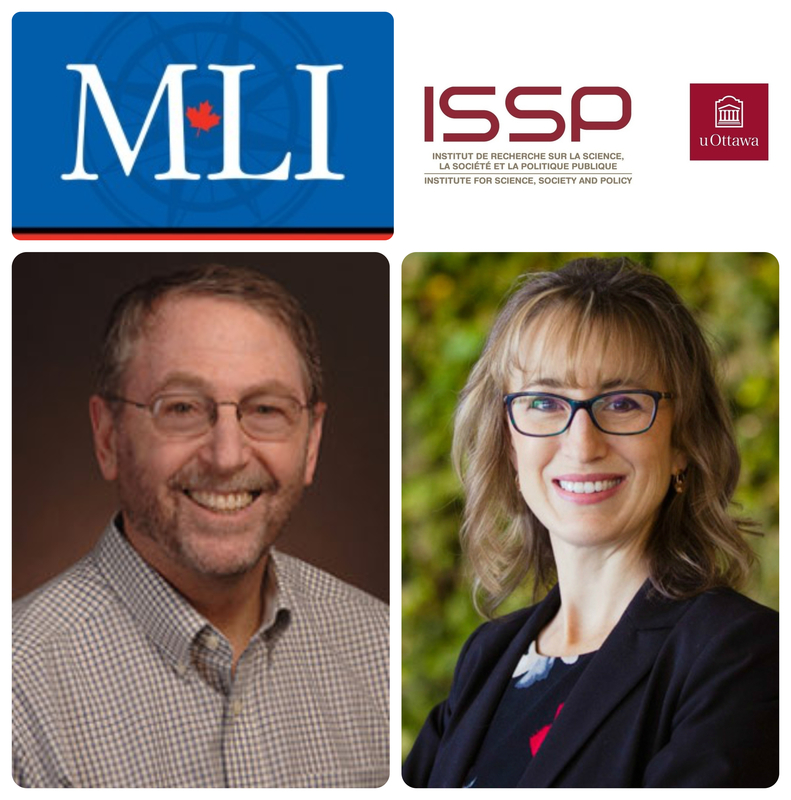 Op-ed article written by Margaret McCuaig-Johnston, Senior Fellow at the ISSP, for the Ottawa Citizen. 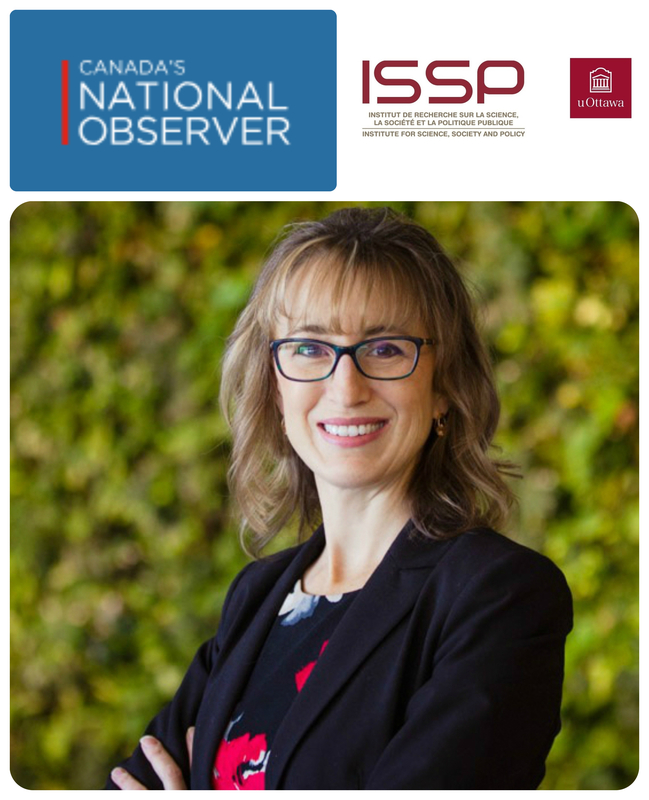 The Nunatsiaq News article with a quote from Dr. Jackie Dawson, Core Member of the ISSP, Assistant Professor, University of Ottawa Department of Geography and the Canada Research Chair in Environment, Society and Policy. 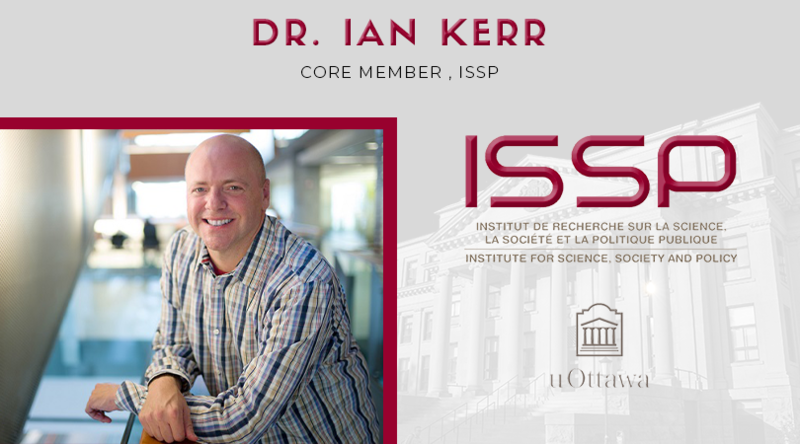 Prof Talks interview featuring Dr. Ian Kerr, ISSP Core Member, Law Professor at University of Ottawa and Canada Research Chair in ethics, law and technology. 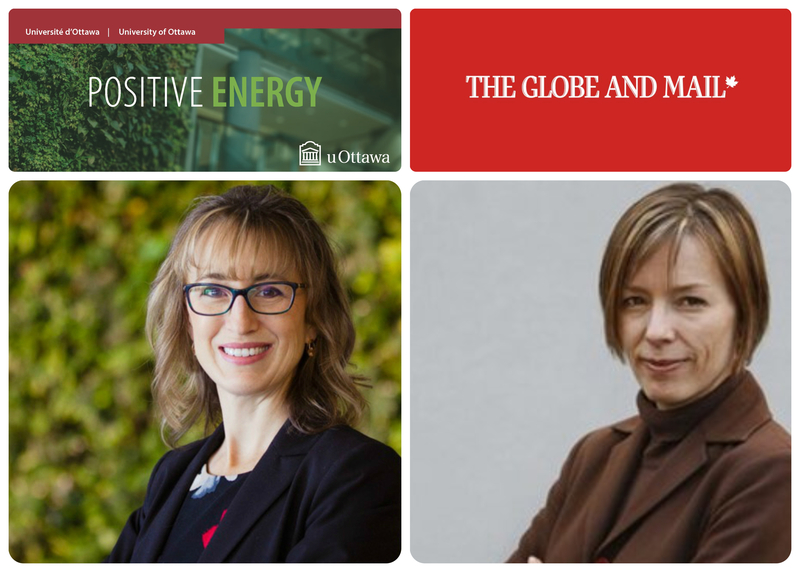 The Globe and Mail article, written by Barrie McKenna, with a quote from Monica Gattinger, Chair of Positive Energy and Director of the Institute for Science, Society and Policy of the University of Ottawa. 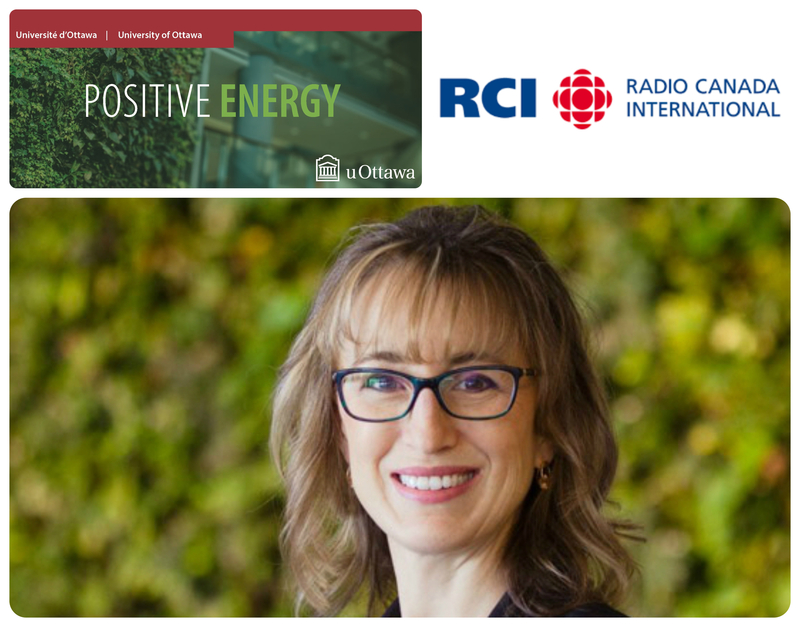 Interview by Monica Gattinger, Chair of Positive Energy and Director of the Institute for Science, Society and Policy of The University of Ottawa on the show National Post Radio with Anthony Furey, SiriusXM Canada Talks CH. 167, about dangerous optimism. 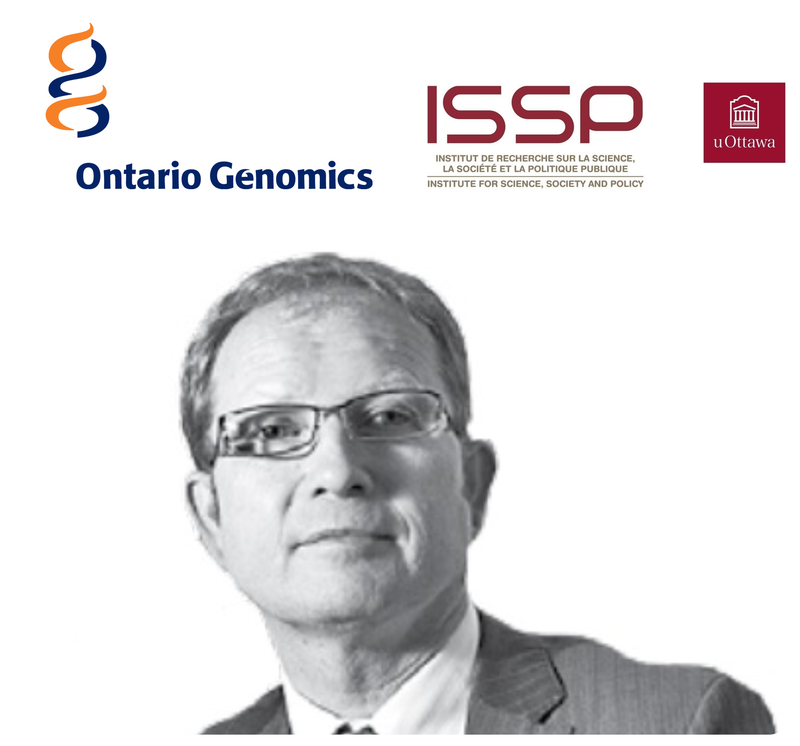 Thank you to the Office of the Chief Science Advisor of Canada for mentioning the ISSP and Royal Canadian Institute for Science event The Promise and Perils of Gene Editing in its annual report. 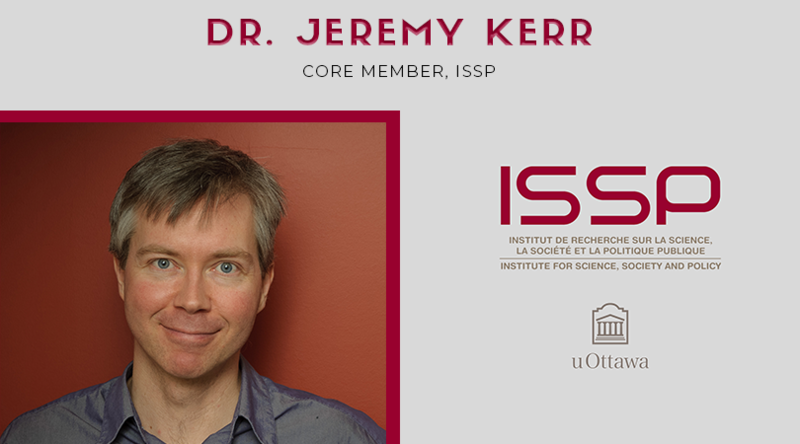 Article from CBC News, featuring an interview with Jeremy Kerr, Core Member of the ISSP. 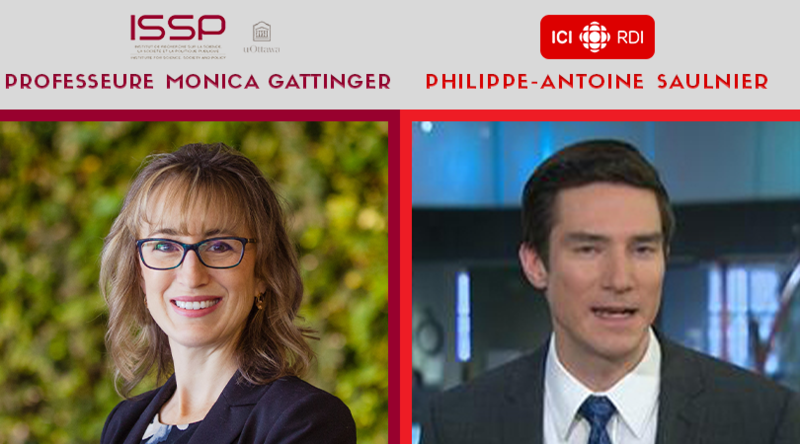 Interview by Monica Gattinger, Chair of Positive Energy and Director of the Institute for Science, Society and Policy of The University of Ottawa on the show La Croisée of Radio Canada Alberta, about the Trans Mountain Pipeline. 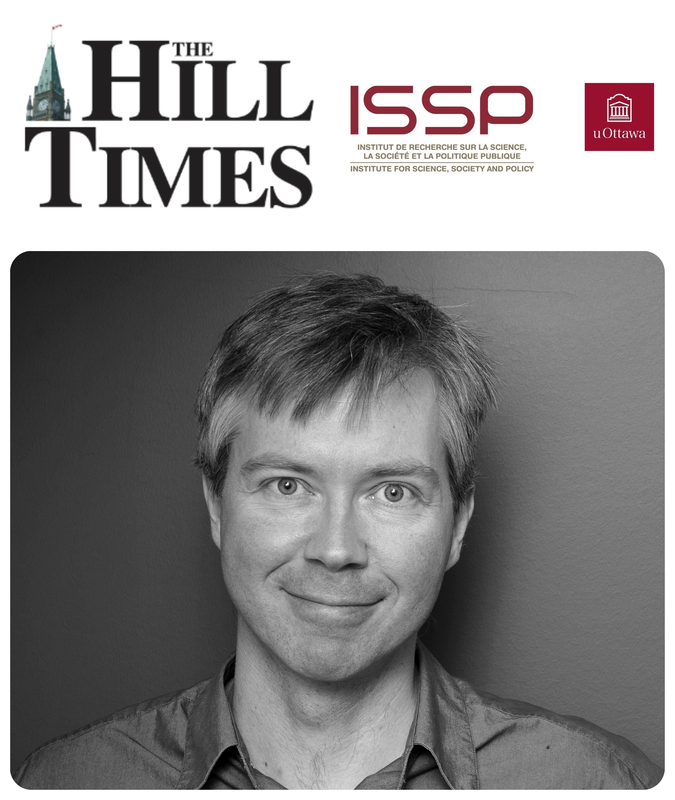 The Hill Times article, by Aidan Chamandy, with a quote from Jackie Dawson, Core Member of the ISSP, as well as an Associate Professor at the University of Ottawa and Canada Research Chair in Environment, Society and Policy (Tier II). 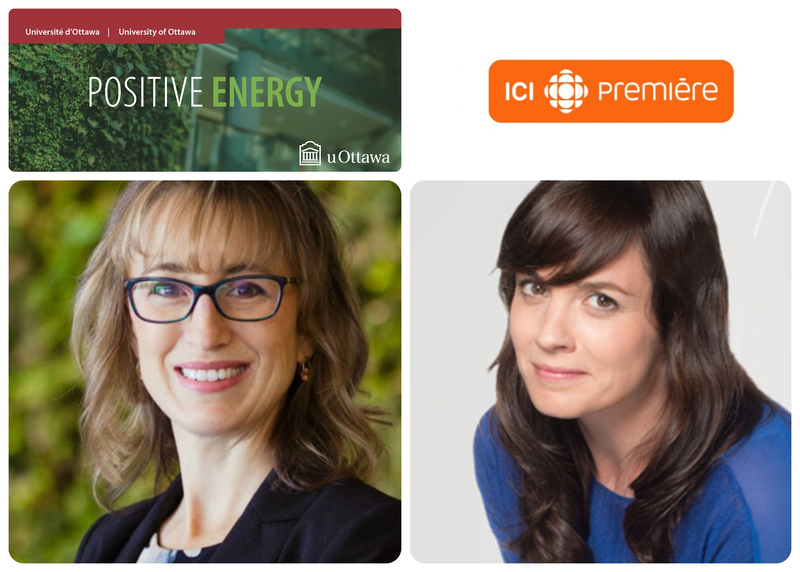 Interview by Monica Gattinger, Chair of Positive Energy and Director of the Institute for Science, Society and Policy of The University of Ottawa on the show Pour faire un monde of Radio-Canada Saskatchewan, about the Trans Mountain Pipeline. 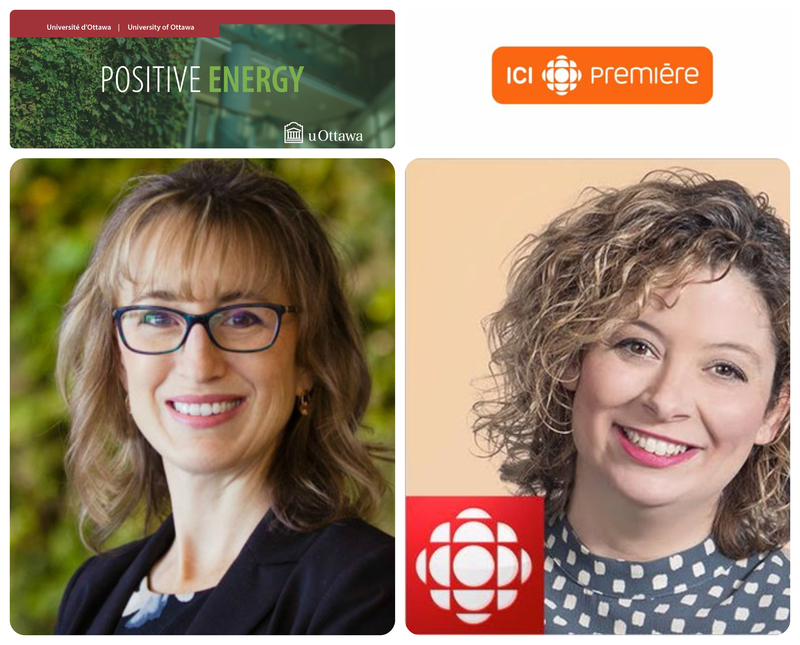 Interview by Monica Gattinger, Chair of Positive Energy and Director of the Institute for Science, Society and Policy of The University of Ottawa on the show Ça parle au Nord of Radio-Canada Sudbury, about the Trans Mountain Pipeline. 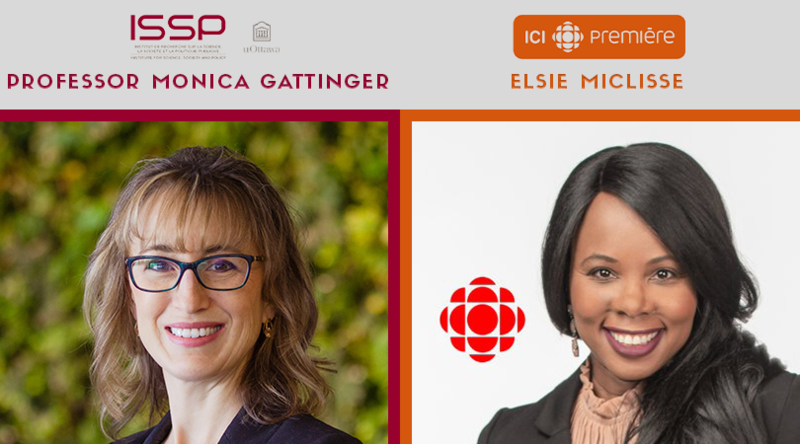 Interview by Monica Gattinger, Chair of Positive Energy and Director of the Institute for Science, Society and Policy of The University of Ottawa on the show Boulevard du Pacifique of Radio-Canada British-Columbia, about the Trans Mountain Pipeline. 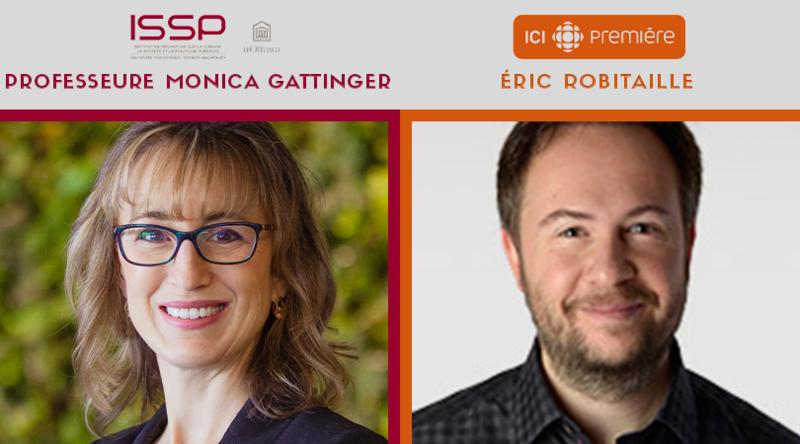 Interview by Monica Gattinger, Chair of Positive Energy and Director of the Institute for Science, Society and Policy of The University of Ottawa on the show RDI Economie, about the Trans Mountain Pipeline. 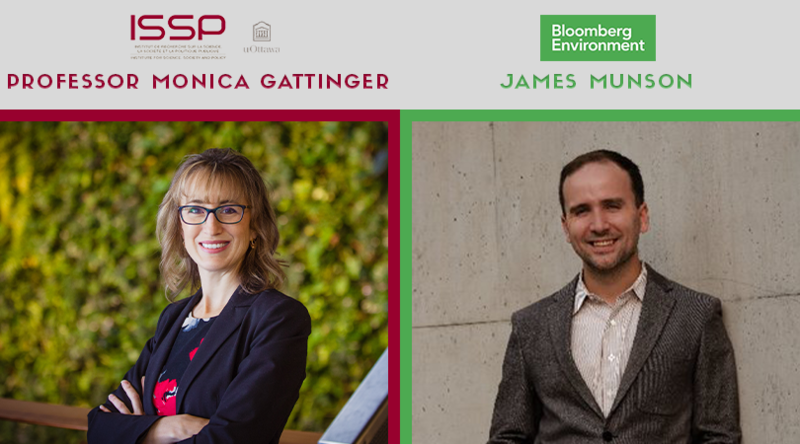 The Bloomberg Environment article, written by James Munson, with a quote from Monica Gattinger, Chair of Positive Energy and Director of the Institute for Science, Society and Policy of the University of Ottawa. 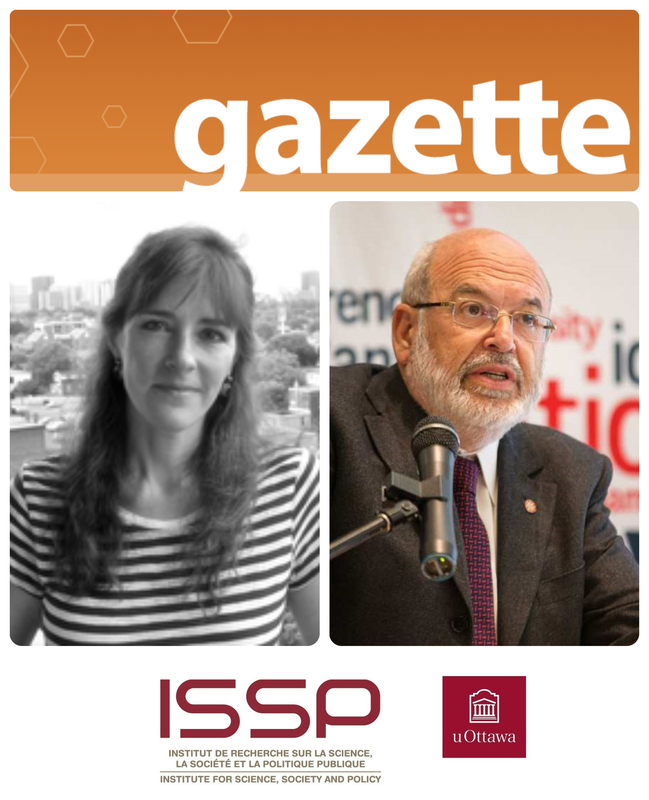 Column written by Monica Gattinger, Director, ISSP and Chair, Positive Energy, for The Daily Oil Bulletin. 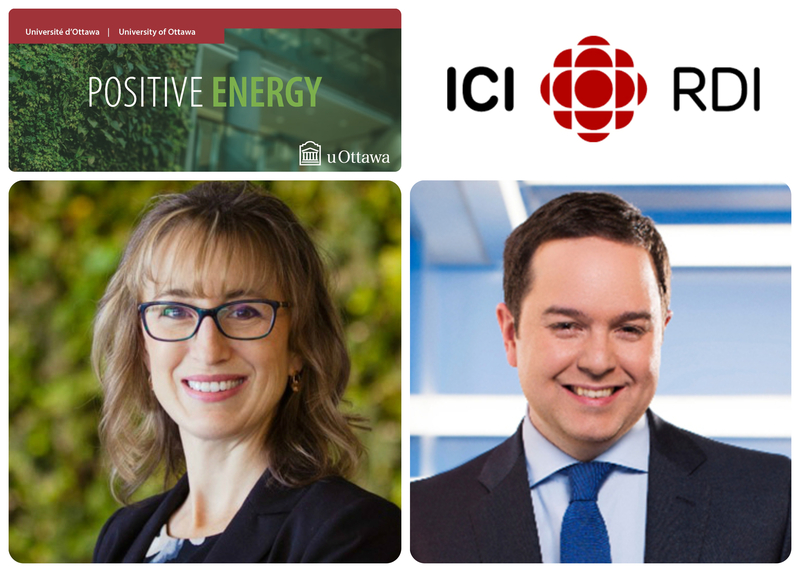 Interview by Monica Gattinger, Chair of Positive Energy and Director of the Institute for Science, Society and Policy of The University of Ottawa on the CBC New Brunswick News, with Harry Forestell. 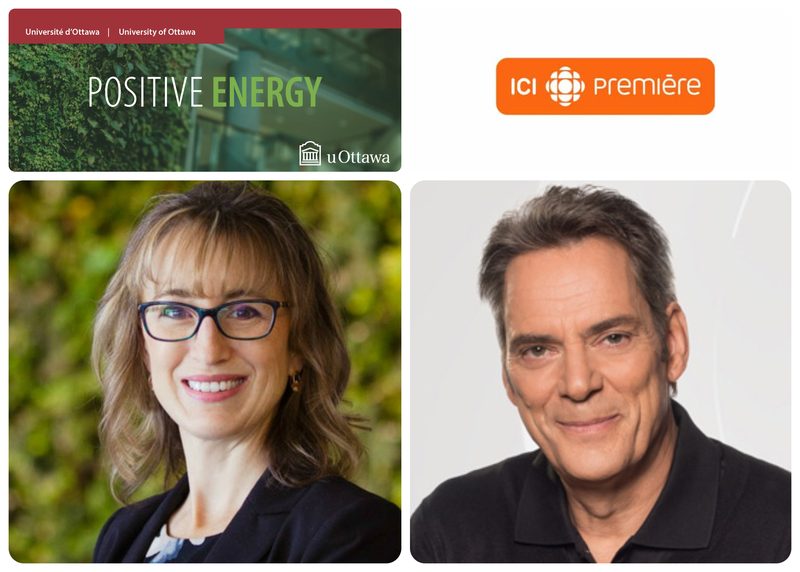 Interview by Monica Gattinger, Chair of Positive Energy and Director of the Institute for Science, Society and Policy of The University of Ottawa on the show Point du Jour of Radio-Canada Saskatchewan. 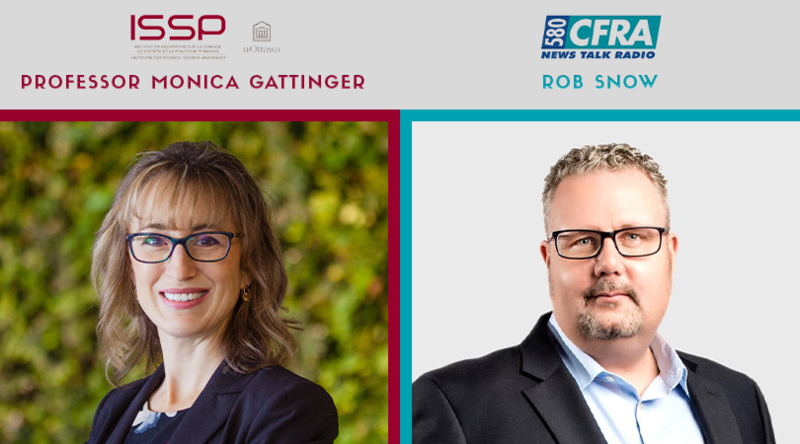 Interview by Monica Gattinger, Chair of Positive Energy and Director of the Institute for Science, Society and Policy of The University of Ottawa on the CFRA News and Views with Rob Snow. 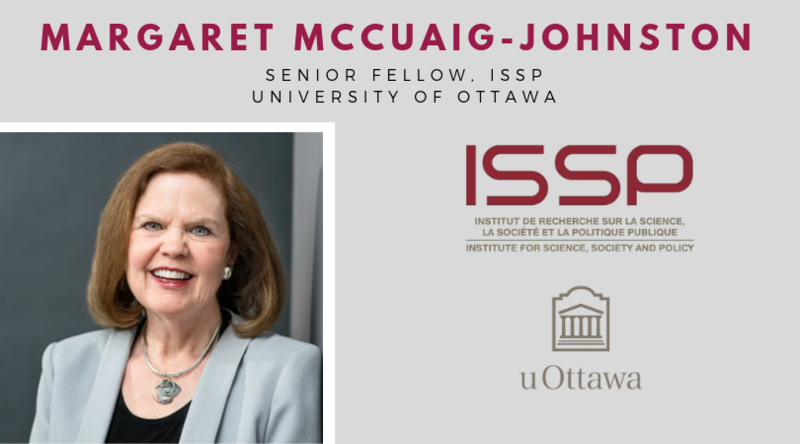 Interview by Margaret McCuaig-Johnston, Senior Fellow of the ISSP, University of Ottawa, to BNN Blomberg News, about the current status of Canadian-Chinese international relations. 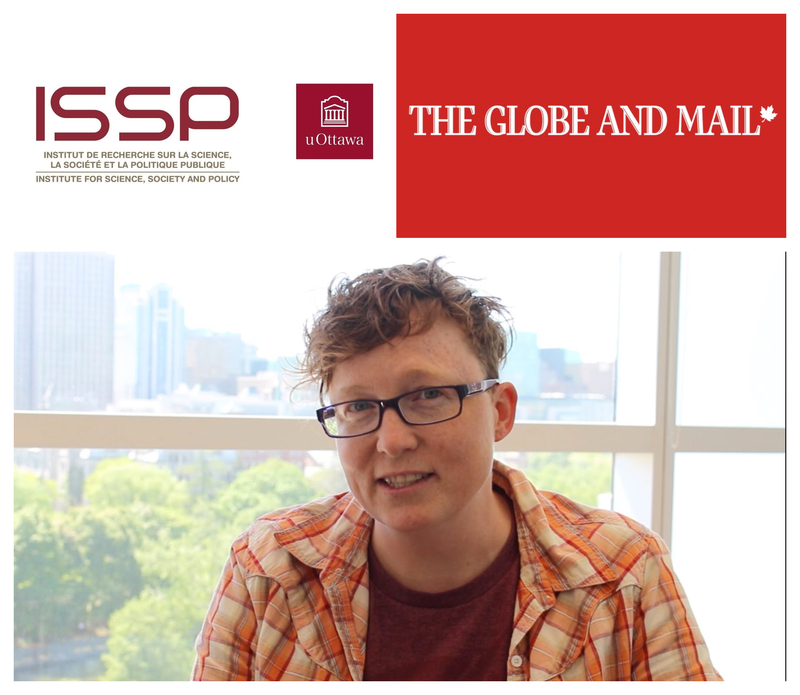 Interview by Margaret McCuaig-Johnston, Senior Fellow of the ISSP, University of Ottawa, to the Vancouver Sun, about the current status of Canadian-Chinese international relations. 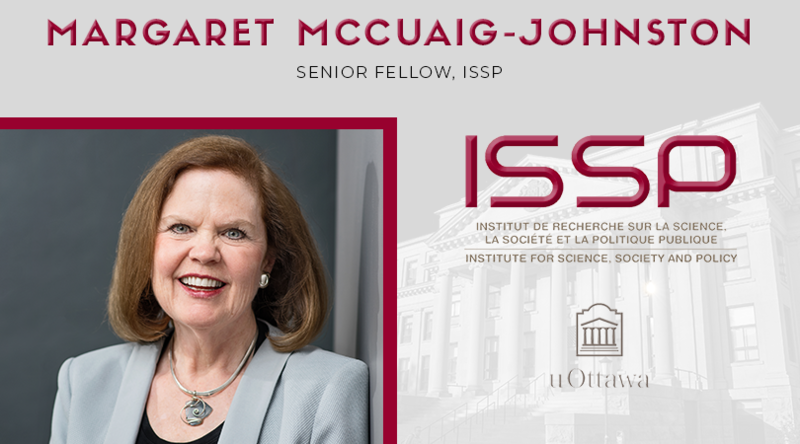 Interview by Margaret McCuaig-Johnston, Senior Fellow of the ISSP, University of Ottawa, to CBC's Katie Simpson on The National, talking about the aftermath of Ambassador McCallum's firing. 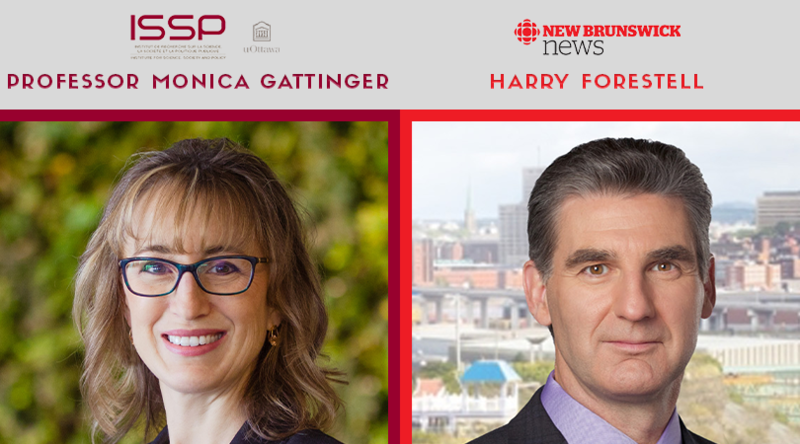 The coverage from CTV National News about the international relations between Canada and China with an interview by Margaret McCuaig-Johnston, Senior Fellow of the Institute for Science, Society and Policy of the University of Ottawa. 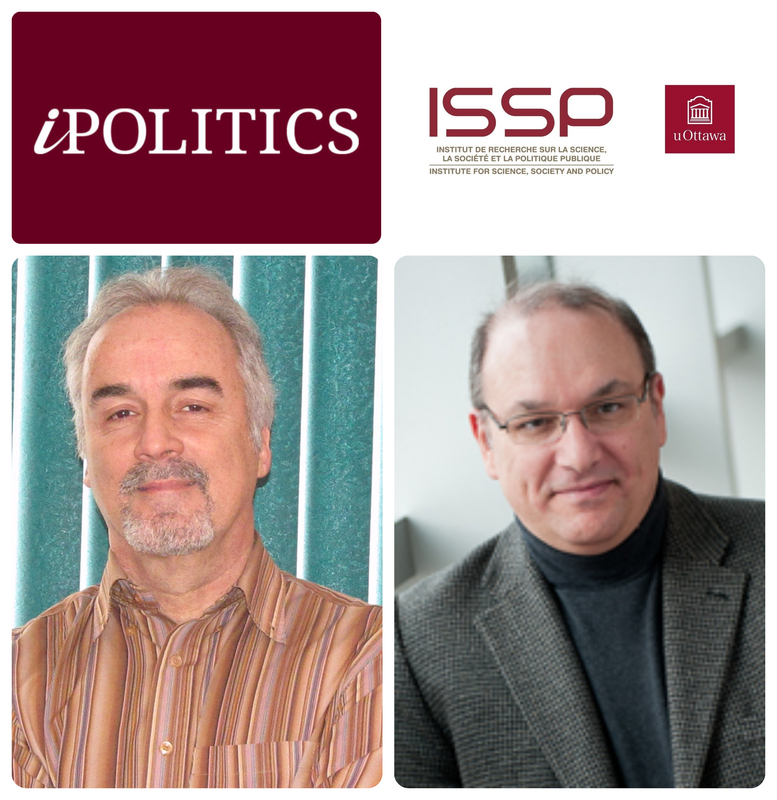 Op-ed article written by Paul Dufour, Senior Fellow and Adjunct Professor at the ISSP, for the Fast Policy Facts column in Research Money. 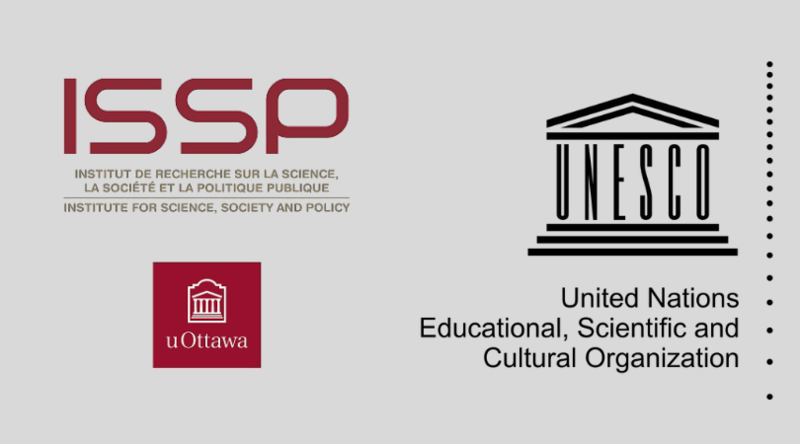 The ISSP was mentioned in a new UNESCO article on artificial intelligence, which highlights the role of the institute in examining the social impact of responsible innovation in AI. 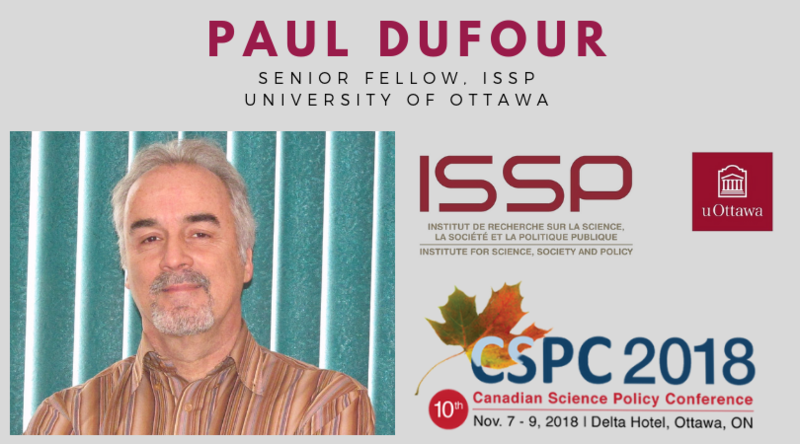 Blog post written by Paul Dufour, Senior Fellow and Adjunct Professor at the ISSP, for the CSPC website. 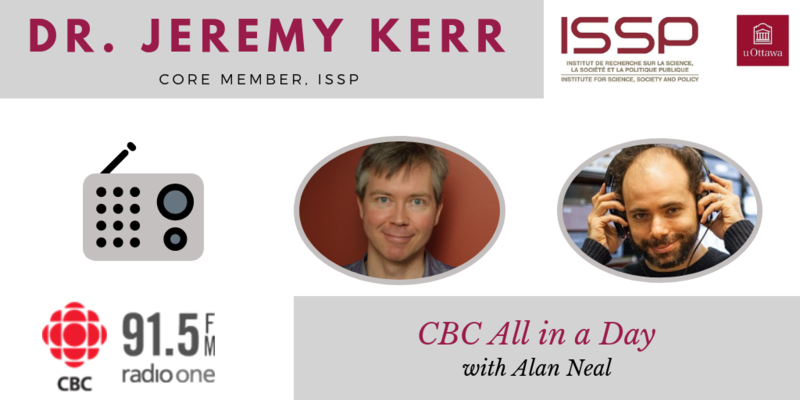 Interview with Jeremy Kerr, Core Member of the ISSP, to CBC Ottawa radio show All in a Day, with Alan Neal. 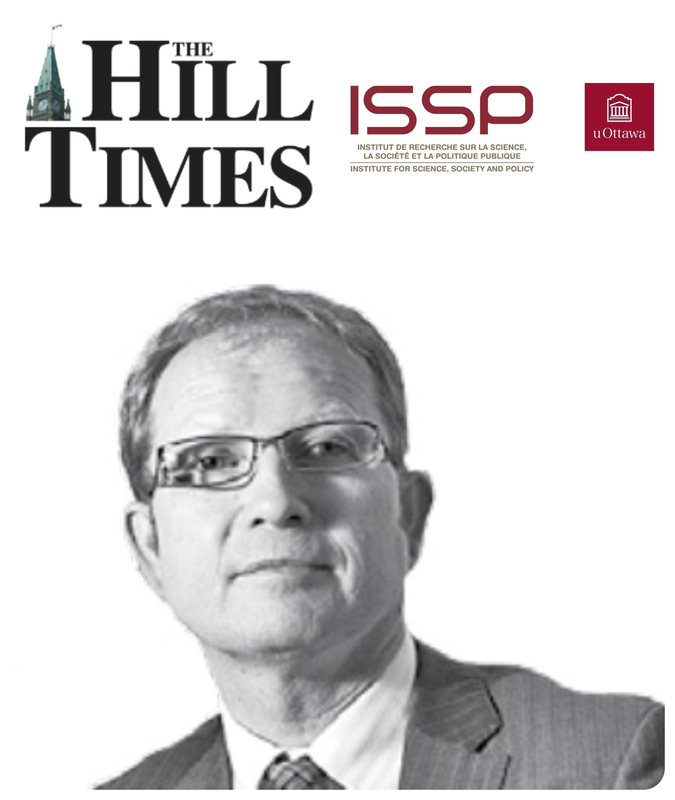 Op-ed article for the Hill Times by Marc Saner, Inaugural Director and Core Member of the ISSP. 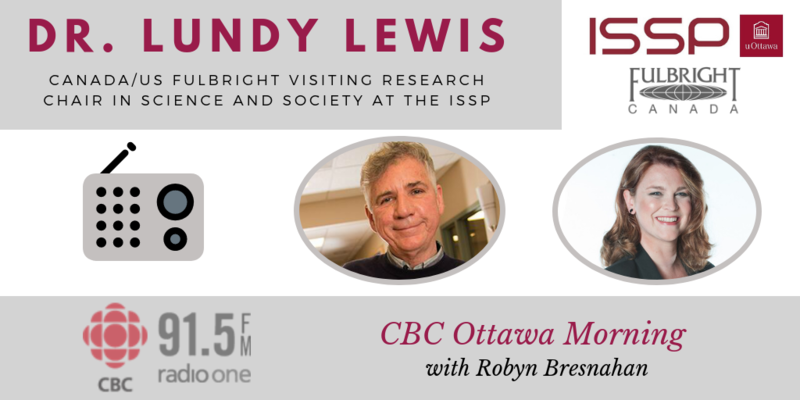 Interview by Dr. Lundy Lewis, Canada/US Fulbright Visiting Research Chair in Science and Society at the ISSP on the CBC Ottawa Morning with Robyn Bresnahan, about his research at the University of Ottawa. 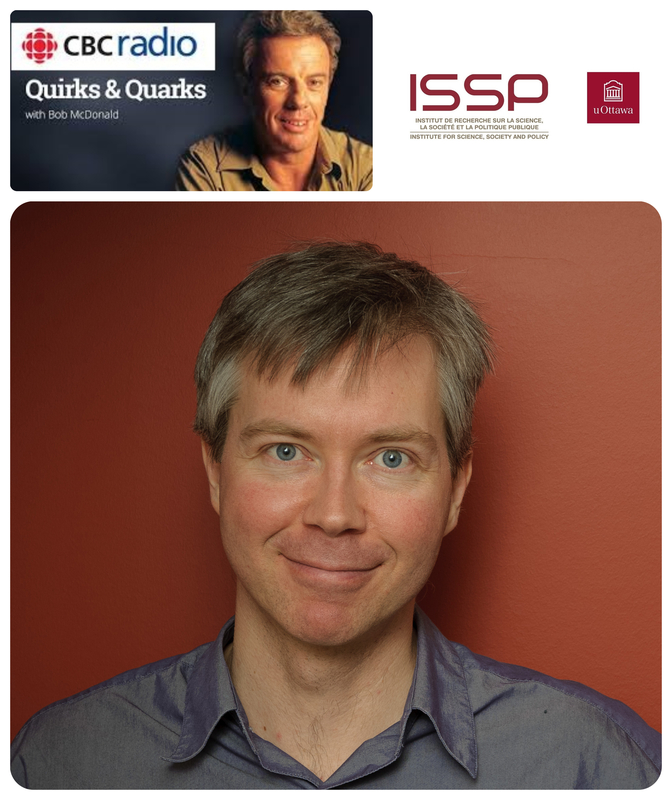 Article from CBC Radio Quirks and Quarks, featuring an interview with Jeremy Kerr, Core Member of the ISSP. 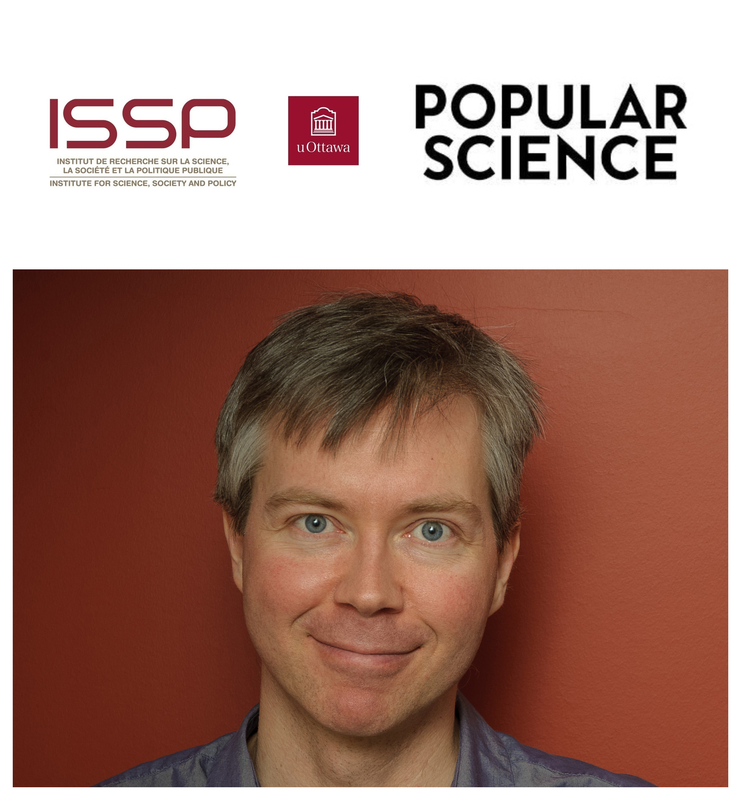 Article from Popular Science, featuring an interview with Jeremy Kerr, Core Member of the ISSP. 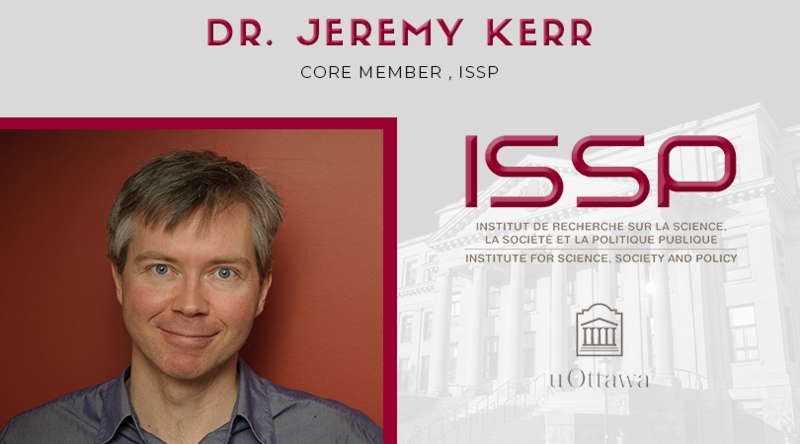 Faculty of Law - Common Law Section article featuring ISSP Core Member and University of Ottawa law professor Ian Kerr, Canada Research Chair in ethics, law and technology. 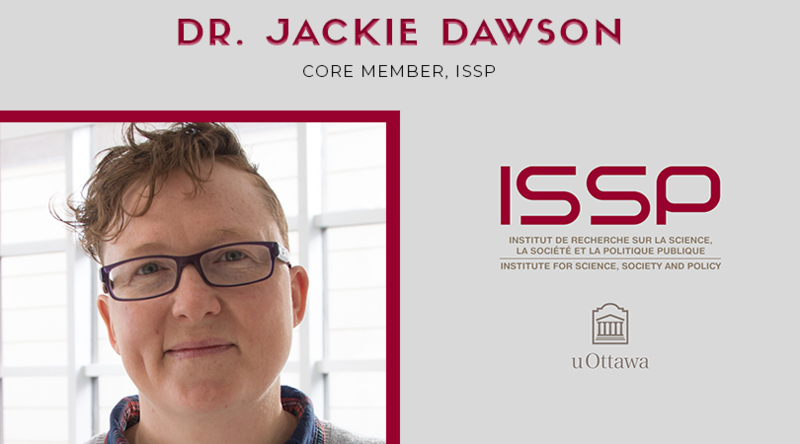 The Globe and Mail article, by Ivan Semeniuk, with a quote from Jackie Dawson, Core Member of the ISSP, Assistant Professor, University of Ottawa Department of Geography and the Canada Research Chair in Environment, Society and Policy. 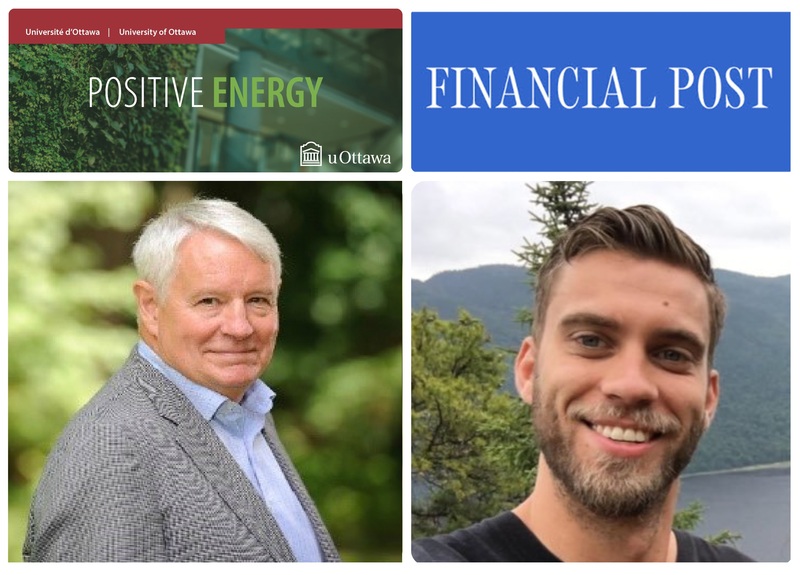 Video testimonial produced by the uOttawa Office of International Research, featuring Stephen Bird, Research Associate, Positive Energy and 2016 Fulbright Visiting Research Chair in Governance and Public Administration, at the Centre on Governance of the University of Ottawa. Op-ed article written by Paul Dufour, Senior Fellow and Adjunct Professor at the ISSP, for the AAAS Center For Science and Diplomacy. 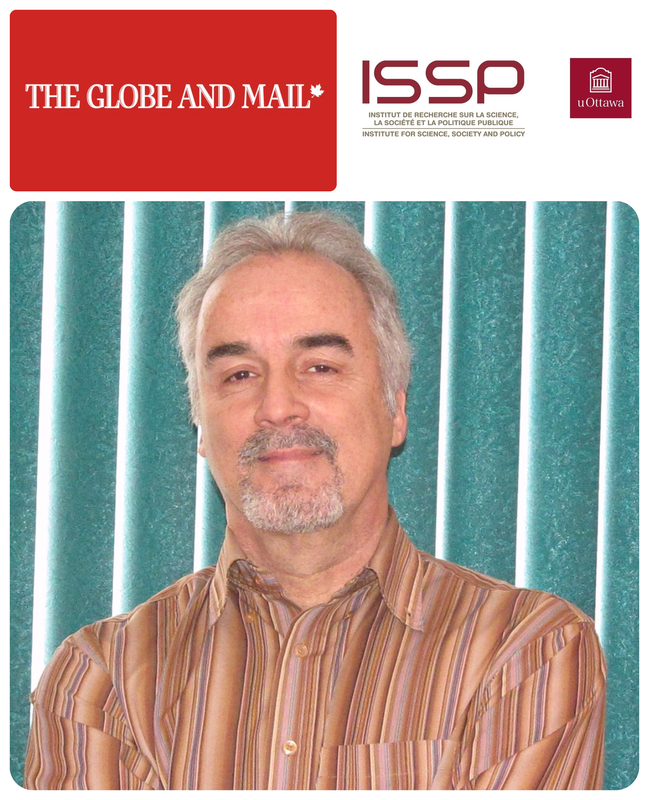 Op-ed article written by Paul Dufour, Senior Fellow and Adjunct Professor at the ISSP, for the Hill Times. 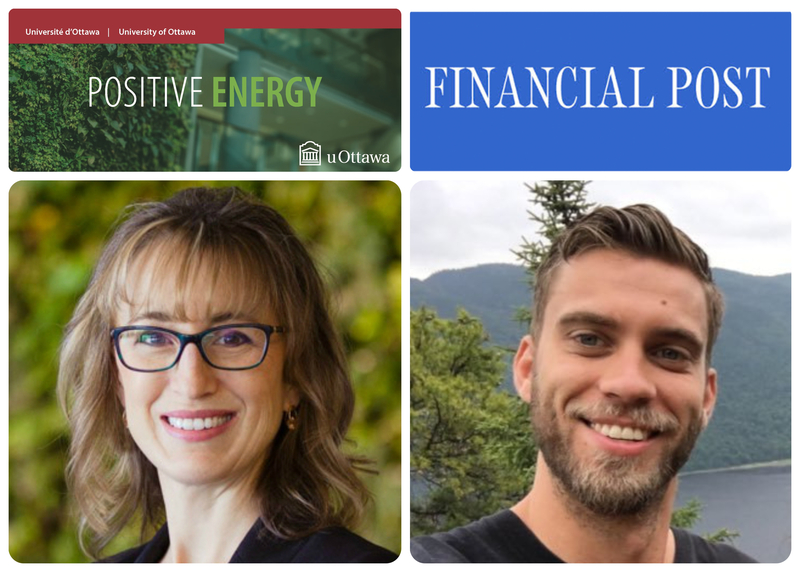 The Financial Post article, by Jesse Snyder, about the Trans Mountain pipeline with a quote from Monica Gattinger, Chair of Positive Energy and Director of the Institute for Science, Society and Policy of the University of Ottawa. 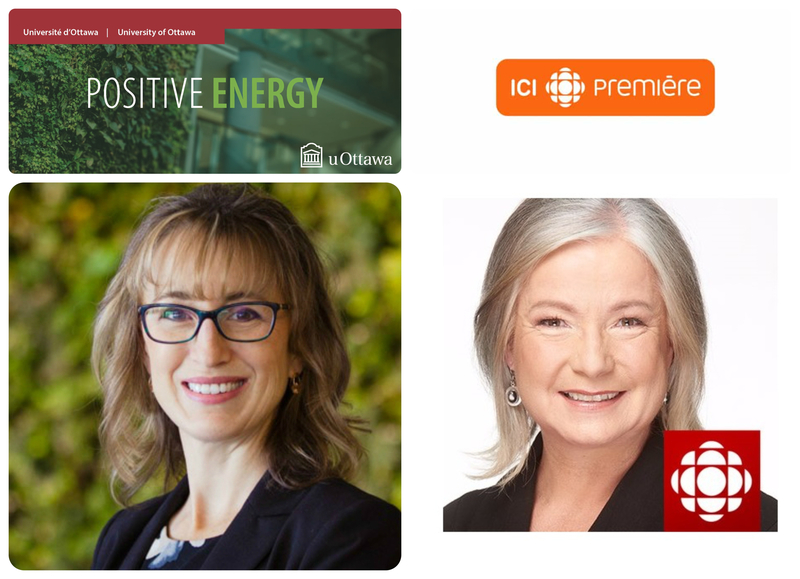 Interview by Monica Gattinger, chair of Positive Energy and Director of the Institute for Science, Society and Policy of The University of Ottawa on the show Phare Ouest of Radio-Canada British-Columbia, about the Trans Mountain Pipeline. 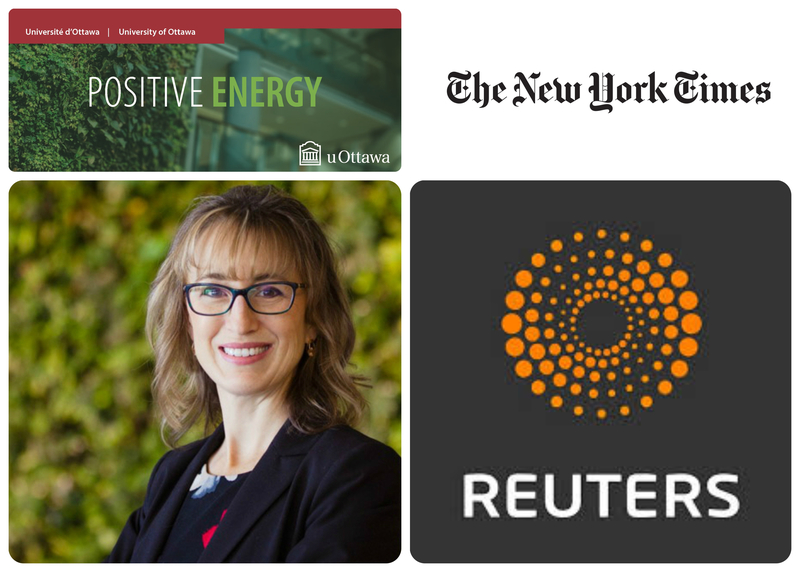 The Reuters article, also published by New York Times, about the Trans Mountain pipeline with a quote from Monica Gattinger, Chair of Positive Energy and Director of the Institute for Science, Society and Policy of the University of Ottawa. 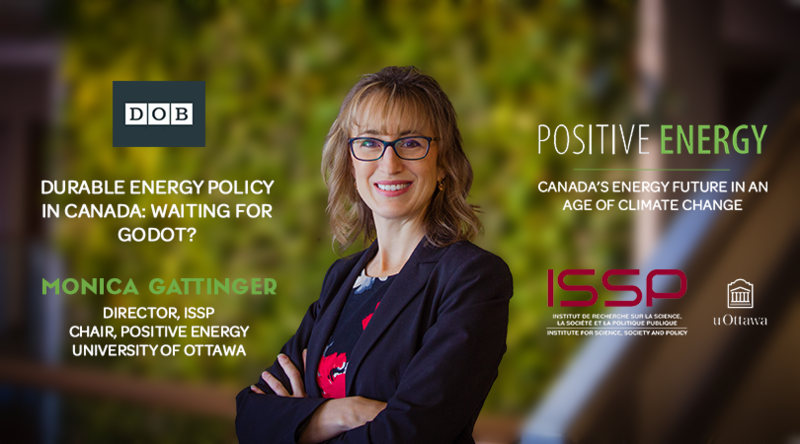 The Globe and Mail article about the Trans Mountain pipeline with a quote from Monica Gattinger, Chair of Positive Energy and Director of the Institute for Science, Society and Policy of the University of Ottawa. 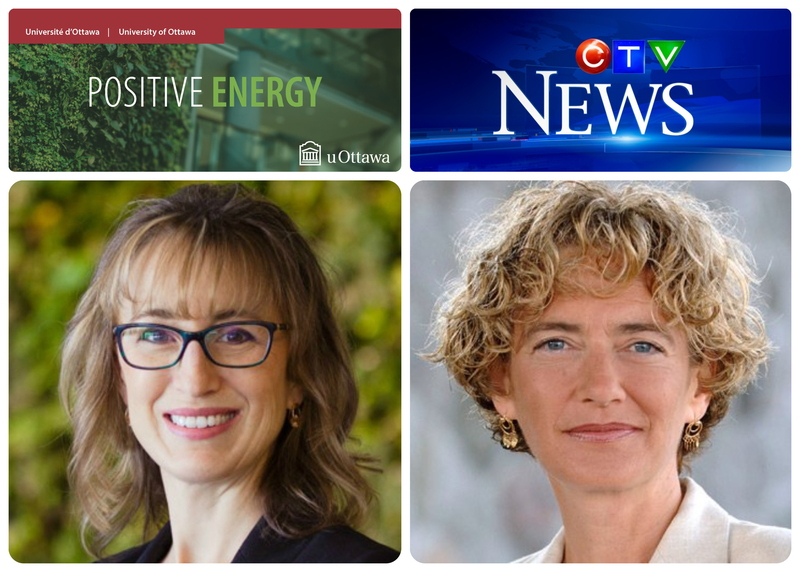 The coverage from CTV National News about the Trans Mountain pipeline with an interview by Monica Gattinger, Chair of Positive Energy and Director of the Institute for Science, Society and Policy of the University of Ottawa. 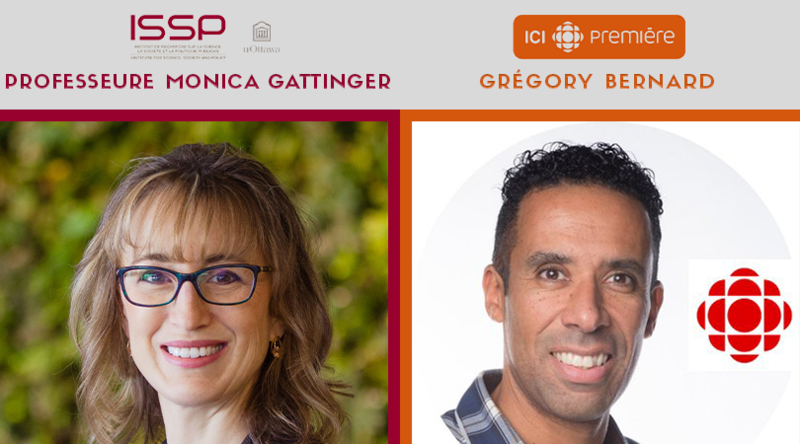 Interview by Monica Gattinger, chair of Positive Energy and Director of the Institute for Science, Society and Policy of The University of Ottawa to the show Boulevard du Pacifique of Radio-Canada British-Columbia, about the Trans Mountain Pipeline. 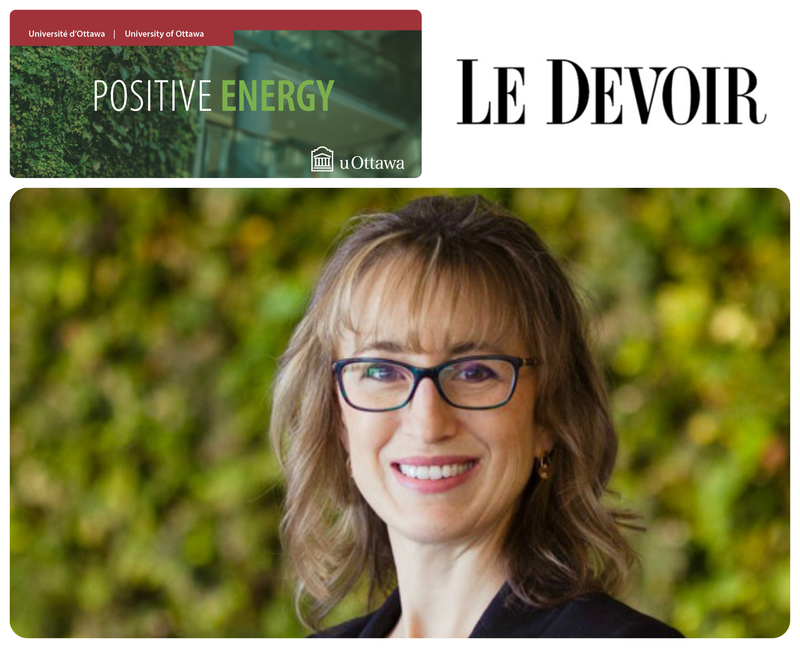 Interview by Monica Gattinger, chair of Positive Energy and Director of the Institute for Science, Society and Policy of The University of Ottawa to the show L'actuel of Radio-Canada Manitoba, about the Trans Mountain Pipeline. 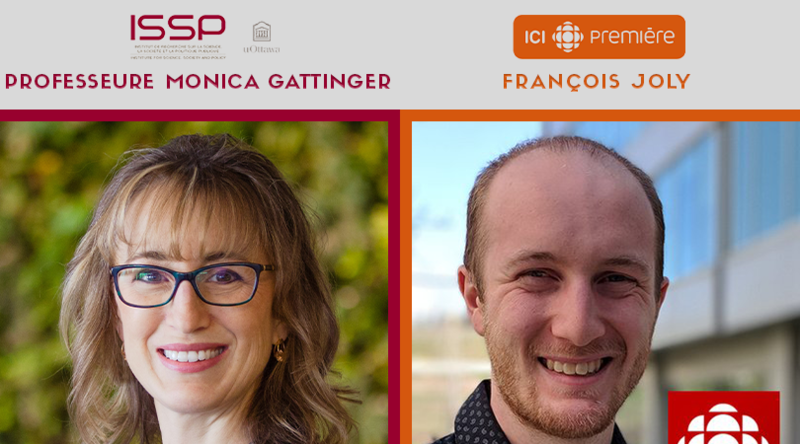 Interview by Monica Gattinger, chair of Positive Energy and Director of the Institute for Science, Society and Policy of The University of Ottawa to the show Pour faire un monde of Radio-Canada Saskatchewan, about the Trans Mountain Pipeline. 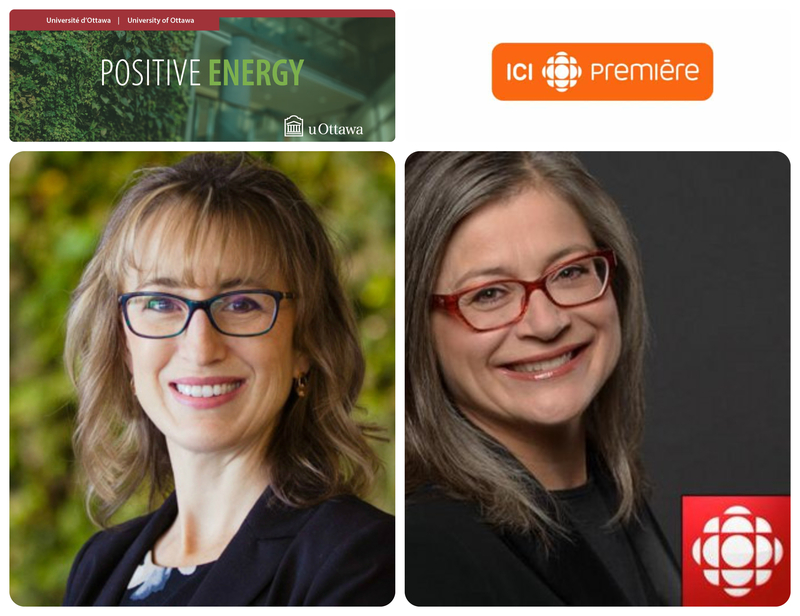 Interview by Monica Gattinger, chair of Positive Energy and Director of the Institute for Science, Society and Policy of The University of Ottawa to the show La Croisée of Radio Canada Alberta, about the Trans Mountain Pipeline. 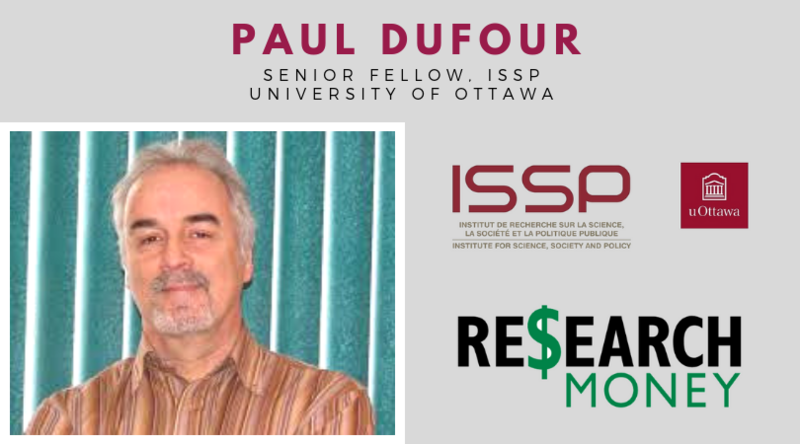 Op-ed article written by Paul Dufour, Senior Fellow and Adjunct Professor at the ISSP, for the Fast Policy Facts column in Research Money's Innovation this Week. 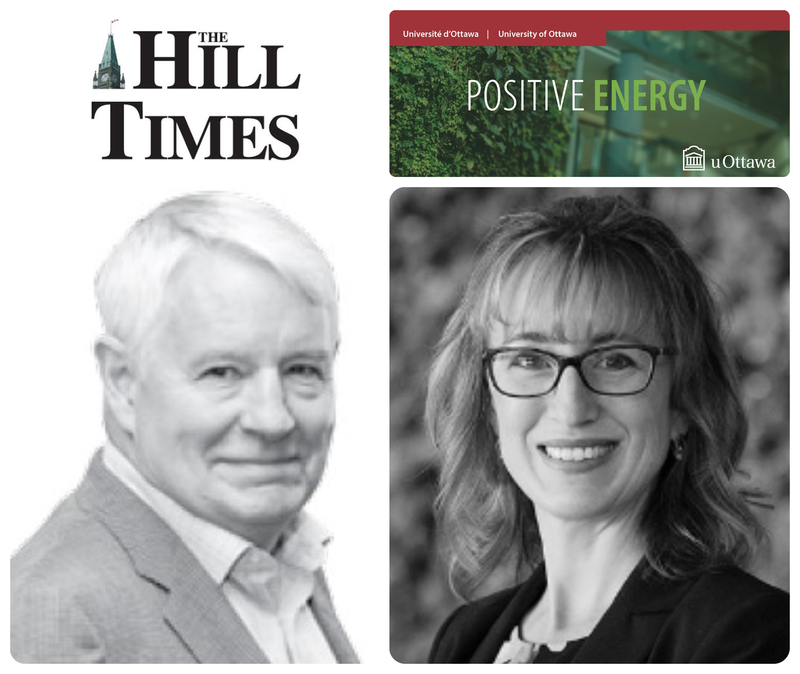 Article by Jesse Snyder of the Financial Post on how Ottawa’s attempts to gain consensus on big resource projects fails to gain traction, with a quote from Michael Cleland, Senior Fellow for the University of Ottawa Positive Energy initiative. 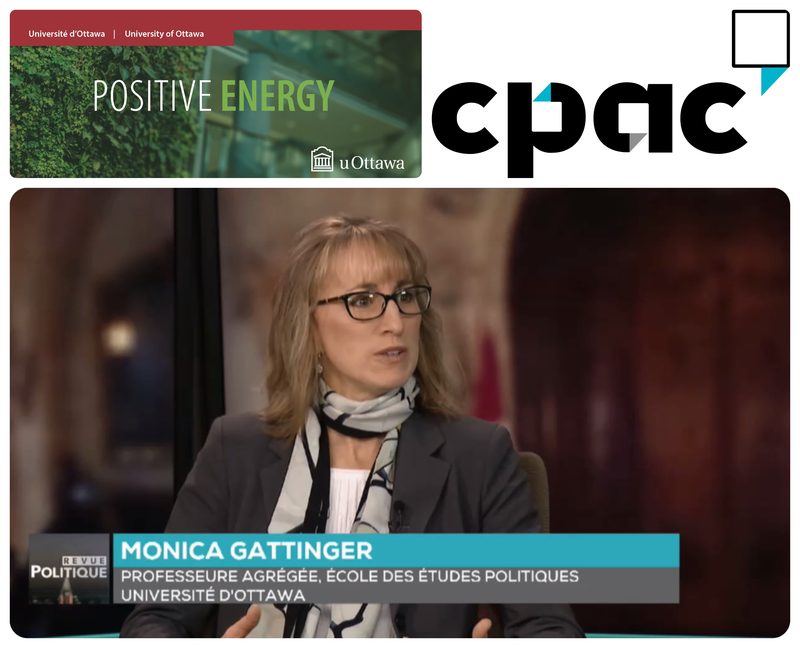 Interview with Monica Gattinger, Chair of Positive Energy and director of the University of Ottawa's Institute for Science, Society and Policy, to CPAC's Revue Politique, about the Trans Mountain pipeline. 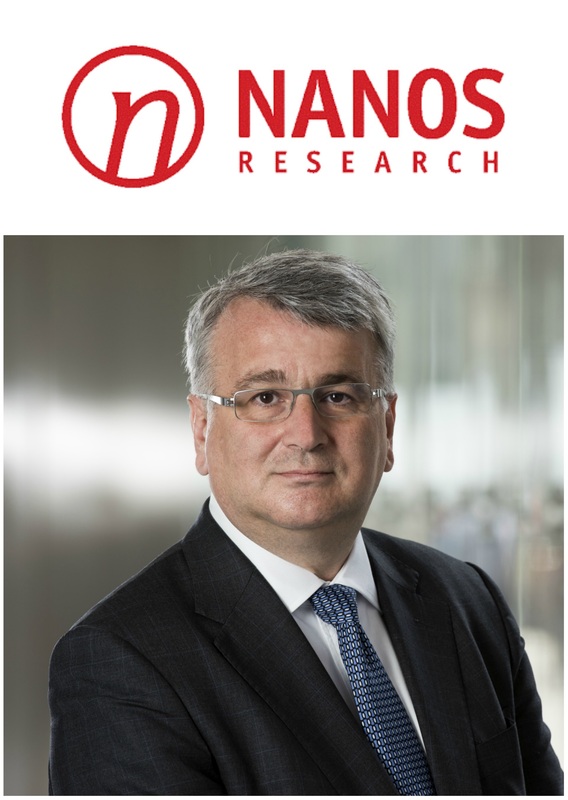 Nik Nanos (Chair and CEO of Nanos Research) discusses the latest findings of the Nanos Research Canadians’ Views on Energy Decision-Making, Projects and Trade-Offs, prepared for The University of Ottawa Positive Energy initiative, on his weekly CTV News segment Nanos on the numbers. 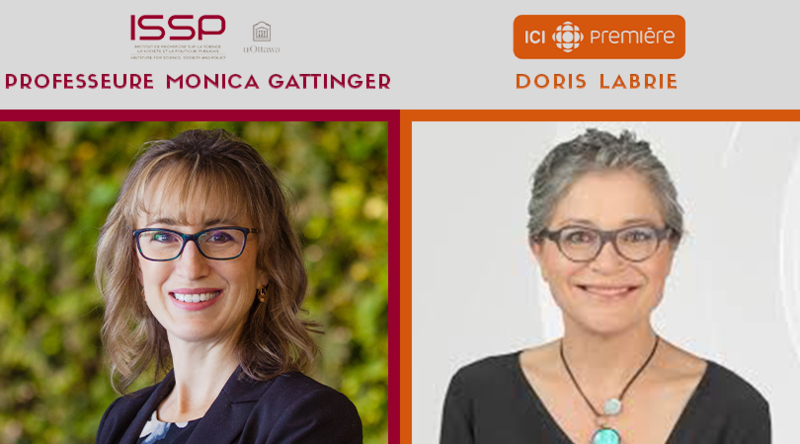 Interview by Monica Gattinger, Chair of Positive Energy, to Radio-Canada International, discussing the possible abandoning of the Trans Mountain Pipeline project. 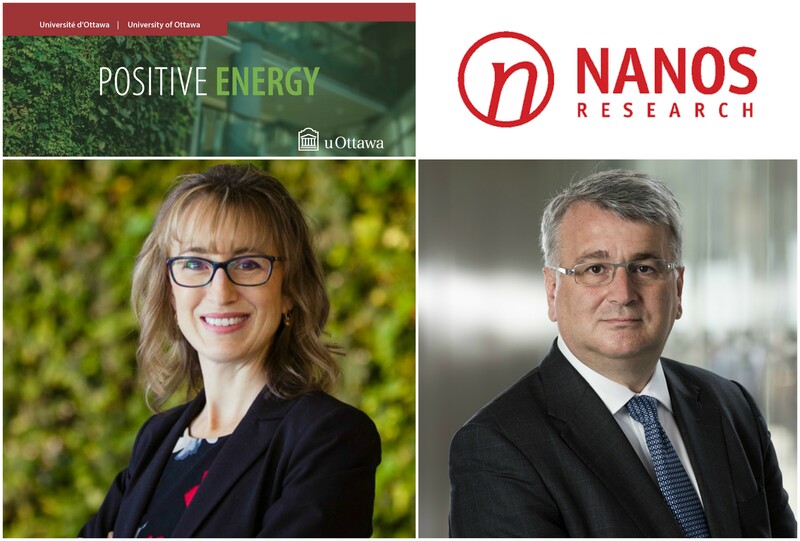 Op-ed article written by Monica Gattinger (Chair, Positive Energy and Director, University of Ottawa’s Institute for Science, Society and Policy) and Nik Nanos (chair and CEO of Nanos Research) for The Globe and Mail. 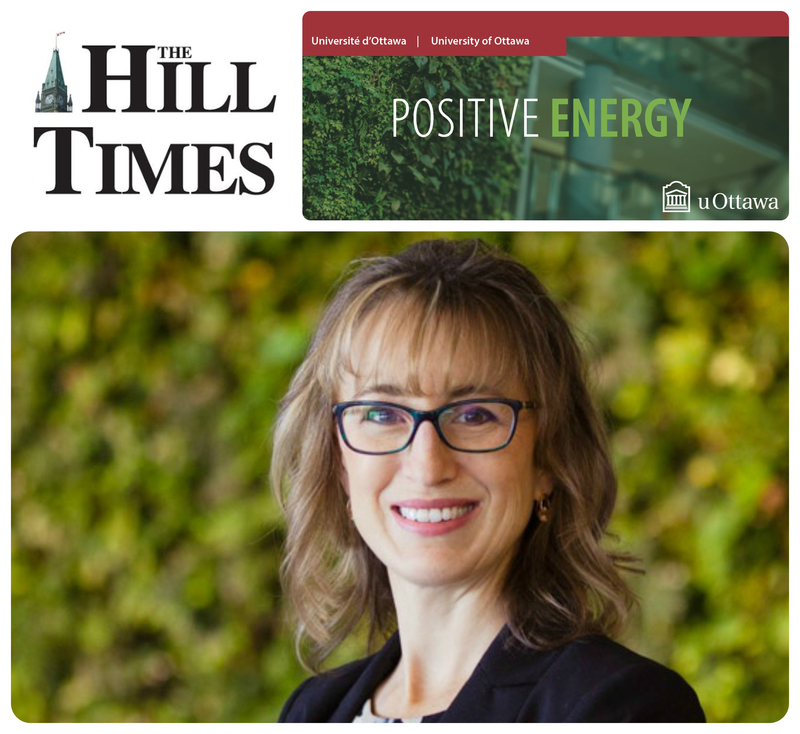 Op-ed article for the Hill Times by Nadia Abu-Zahra, Rukhsana Ahmed (ISSP Core Member) , Marie-Claude Audet, Betty Baba, Angela Cameron, Monique (Aubry) Frize, Monica Nevins, Barbara Orser, Catherine Pound, Jennifer Quaid, Joanne St-Lewis, Catherine Mavriplis (ISSP Faculty Affiliate), Tracy Vaillancourt, and Nadine Wiper, University of Ottawa professors. 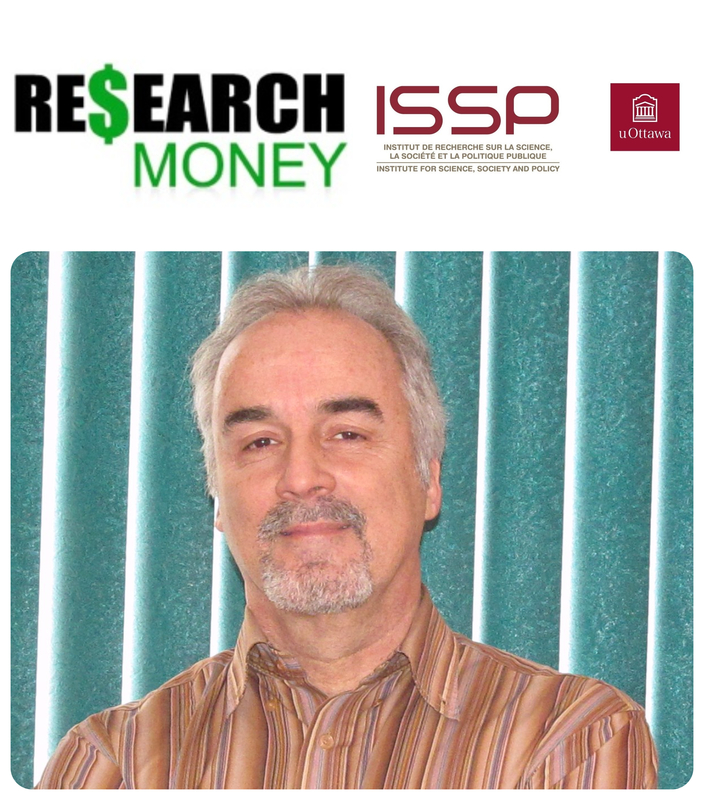 Compilation of various articles, since January 2017, written by Paul Dufour, Senior Fellow and Adjunct Professor at the ISSP, for the Fast Policy Facts column in Research Money's Innovation this Week. 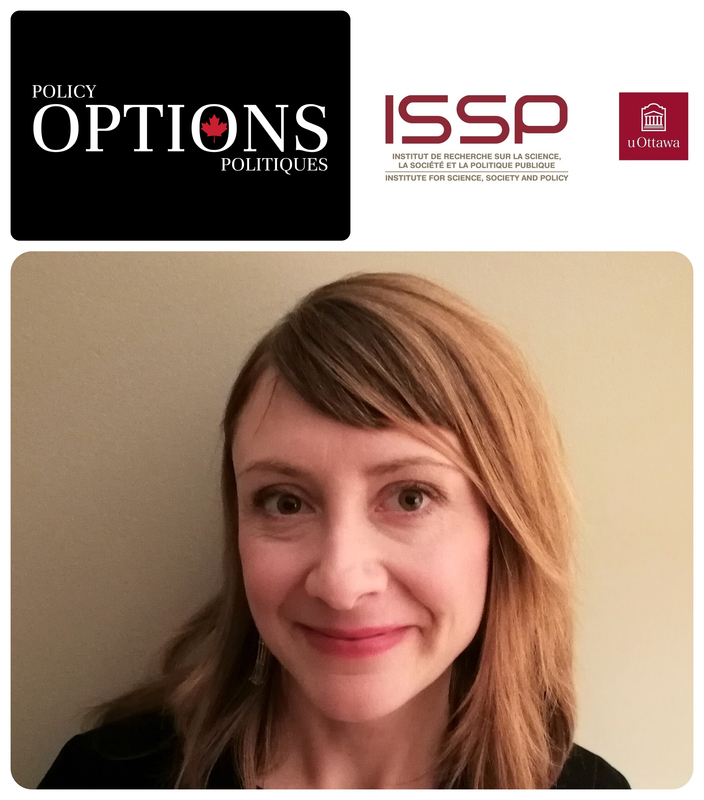 Policy Options article by Kelly Bronson, Core Member of the ISSP and Assistant Professor, Faculty of Social Sciences, School of Sociological and Anthropological Studies at the University of Ottawa; and Irena Knezevic, Assistant Professor in Communication, Culture and Health at Carleton University. 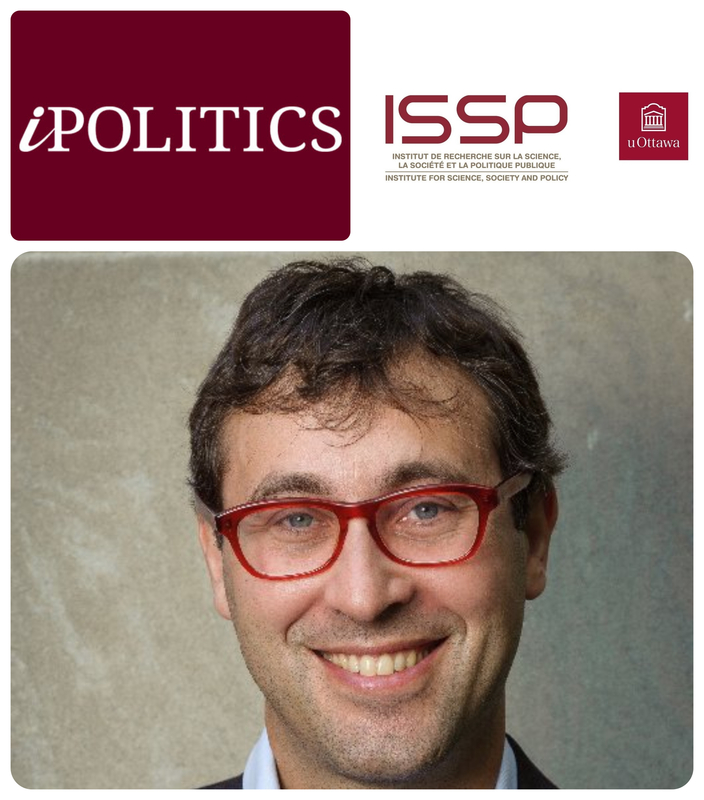 Op-ed article for IPolitics by Rees Kassen, Core member of the ISSP. 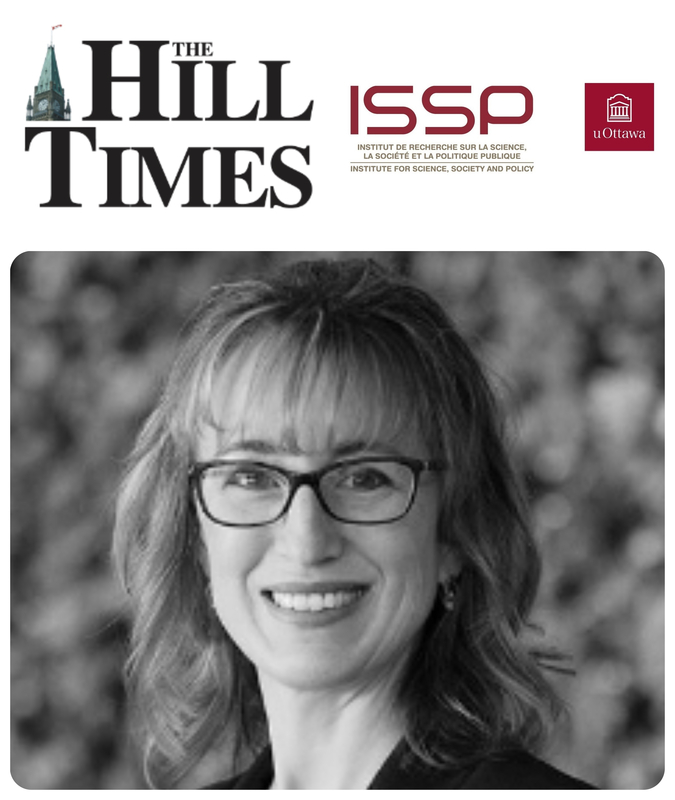 Op-ed article for the Hill Times by Jeremy Kerr, Core Member of the ISSP and Professor at the University of Ottawa, Julia K. Baum, Associate Professor at the University of Victoria and David Naylor, Professor at the University of Toronto. 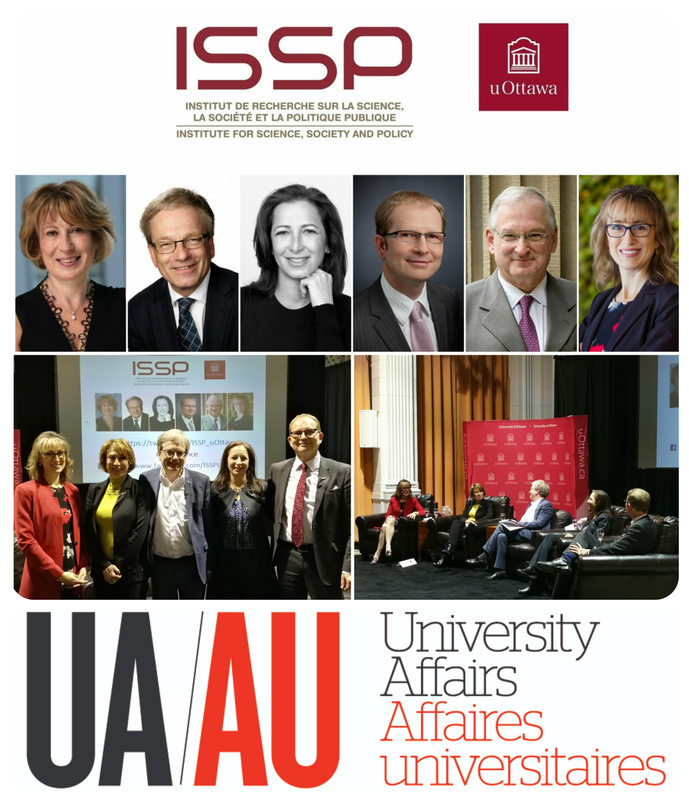 Leaders from academia, business and government take part in the Canada 150 Conference on Innovation and Globalization, organized by the Alex Trebek Forum for Dialogue at the University of Ottawa. Monica Gattinger, director of the ISSP and president of Positive Energy has been named a Canadian Global Affairs Institute (CGAI) fellow. 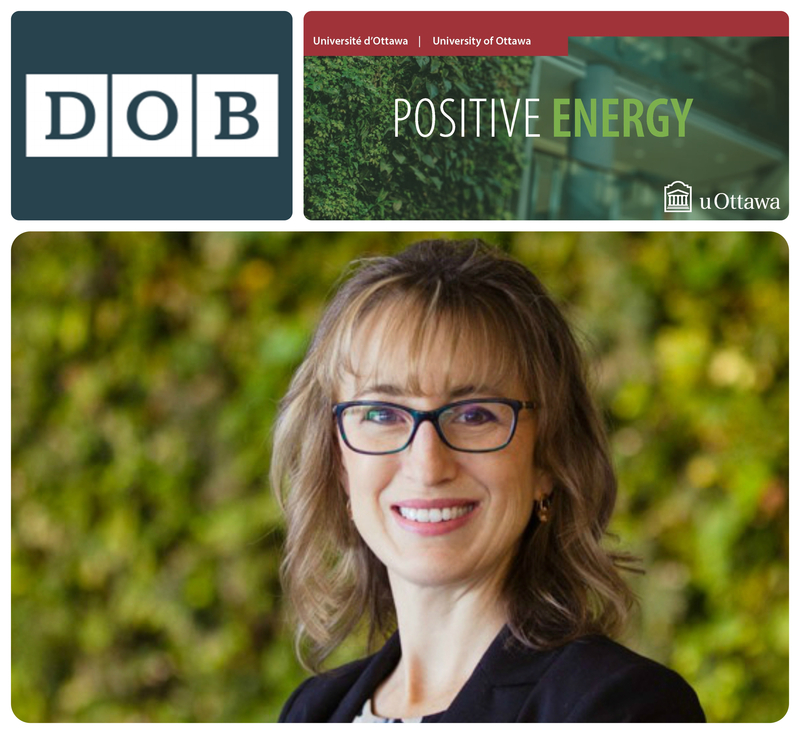 The Daily Oil Bulletin, in a partnership with the CGAI, has made her paper, Big Projects, Big Politics, Big Policy: Strengthening Public Confidence In Energy Decision-Making In Canada, the first one to be featured in a recurring series. 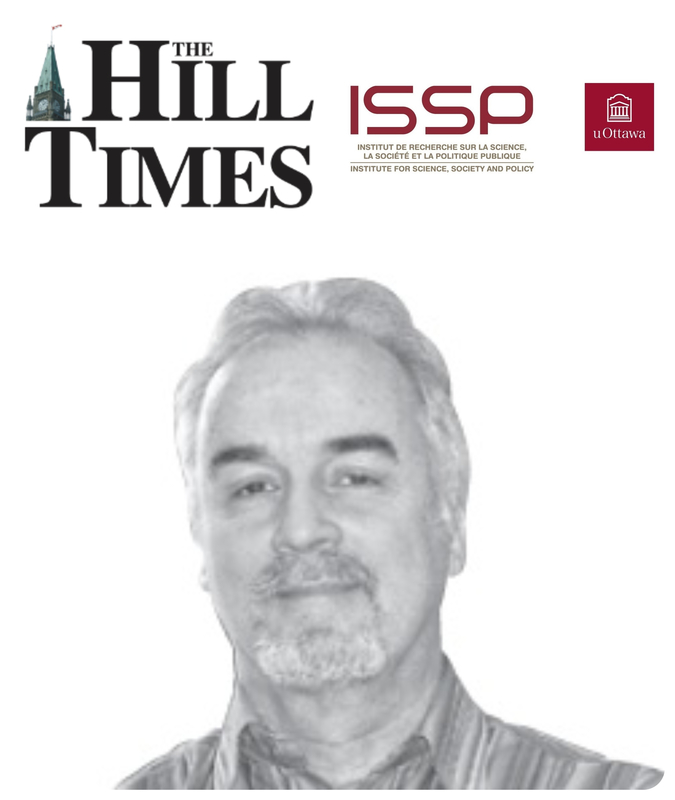 Op-ed article for the Hill Times by Paul Dufour, fellow and adjunct professor at the ISSP. 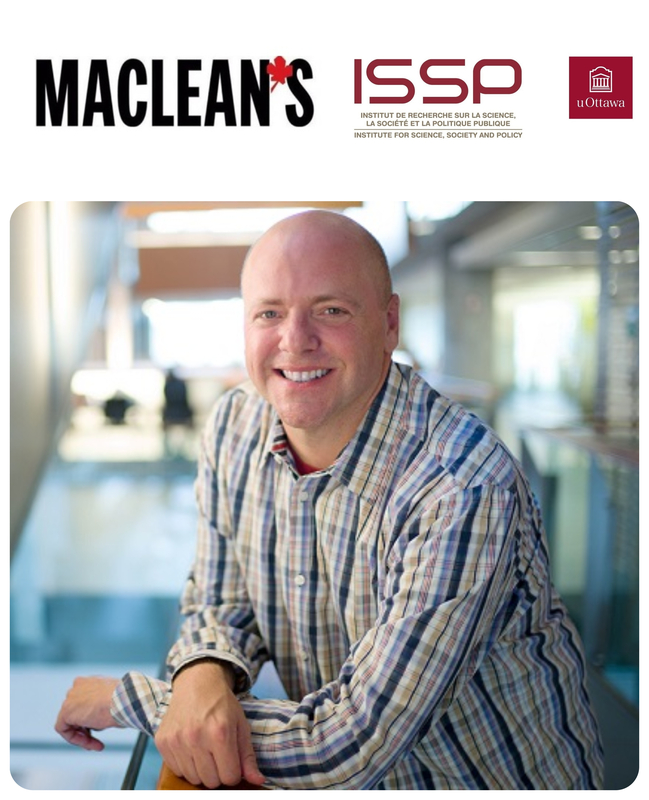 Maclean`s article on Artificial Intelligence, featuring ISSP Core Member and University of Ottawa law professor Ian Kerr, Canada Research Chair in ethics, law and technology. 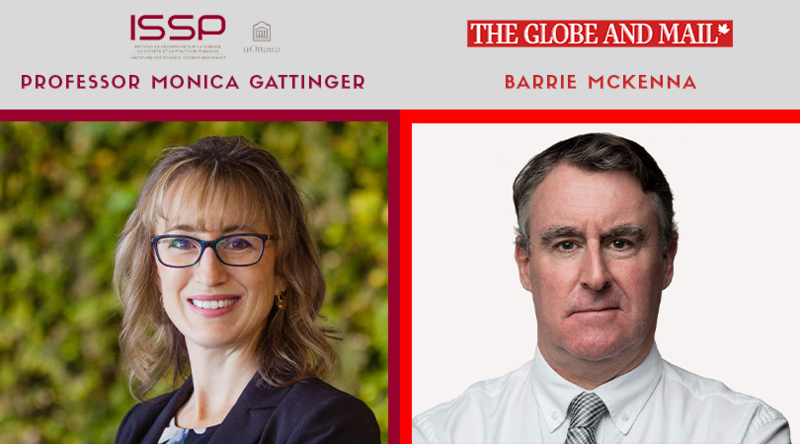 Article by The University of Ottawa Gazette on the pane Climate change in the age of Trump: How should Canada respond?, with quotes from the panelists. 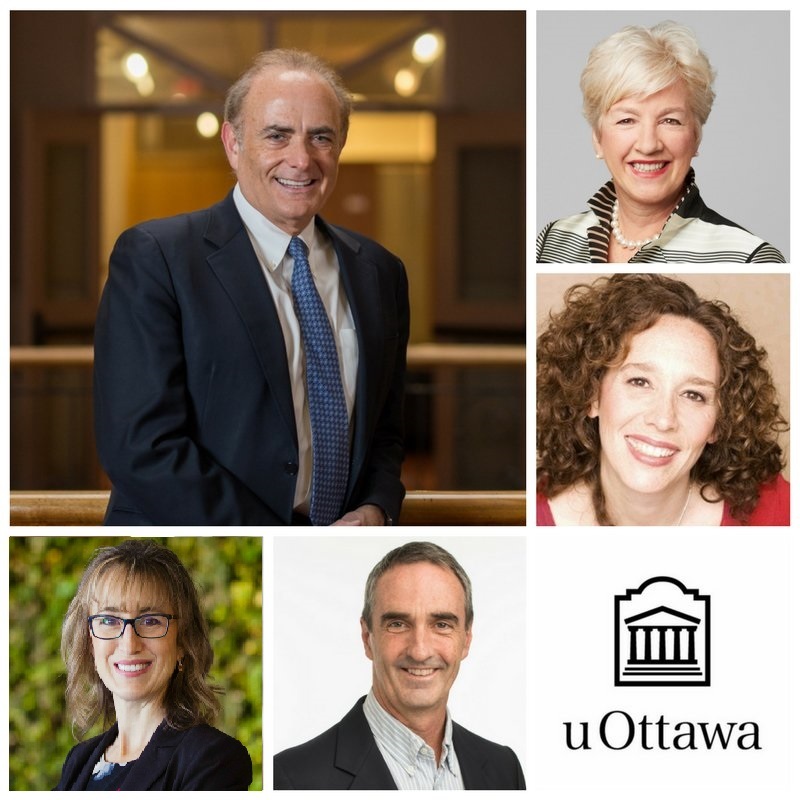 The panel was moderated by Calin Rovinescu– President and CEO of Air Canada, and Chancellor of the University of Ottawa and also had the participation of Annette Verschuren– Chair & CEO of NRStor Inc., and Chancellor, Cape Breton University, Tzeporah Berman– Energy and Climate Campaign Strategy Consultant and Adjunct Professor in Environmental Studies, York University and Stewart Elgie– Professor, Faculty of Law; Founder and Chair, Smart Prosperity Institute and Director of the University of Ottawa’s Institute of the Environment. 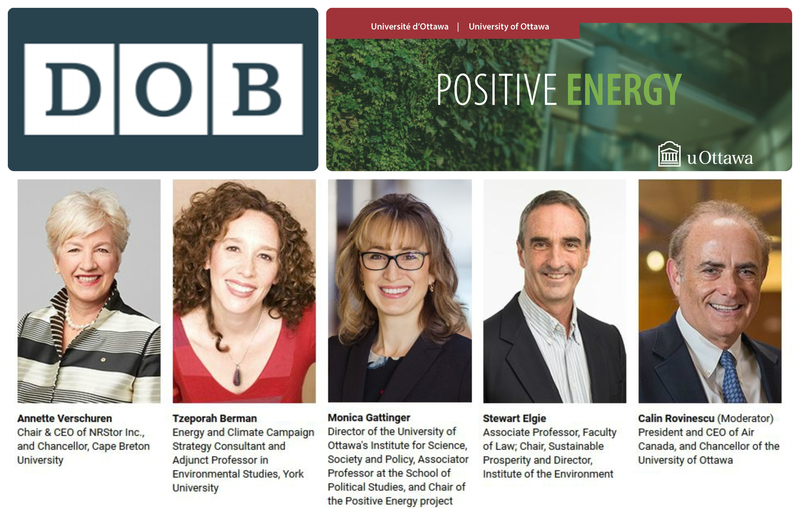 Daily Oil article commenting on the University of Ottawa Chancellor's Debate panel: Climate change in the age of Trump: How should Canada respond? 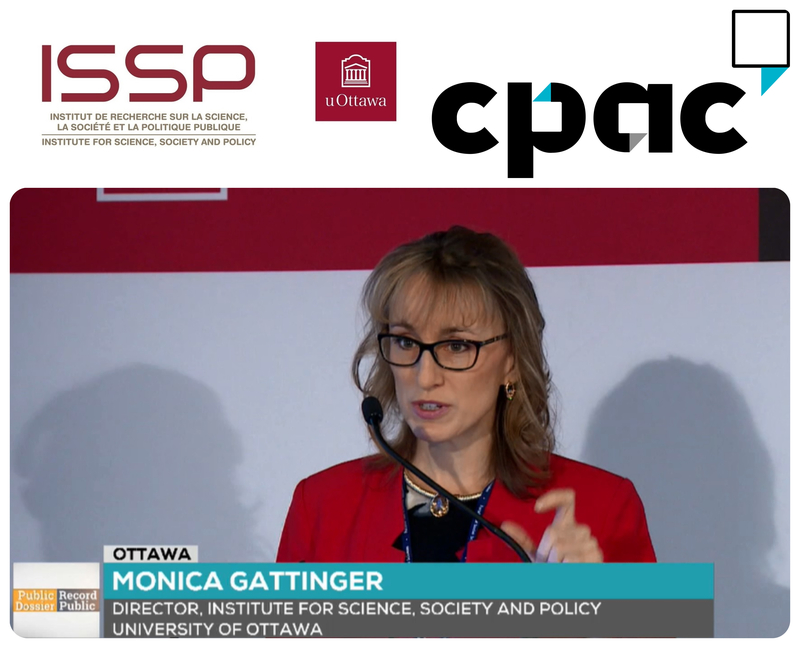 Article from The National Observer on the Statistics Canada panel discussion on climate change science, which features comments from Monica Gattinger, director of the ISSP, who was one of the participants of the panel. Report produced by Drs. Jeremy Kerr, Megan Dodd, Julia Baum, and Kristina Tietjen in Nature (28 June 2017). Additional media summaries can be found at Global Young Academy. 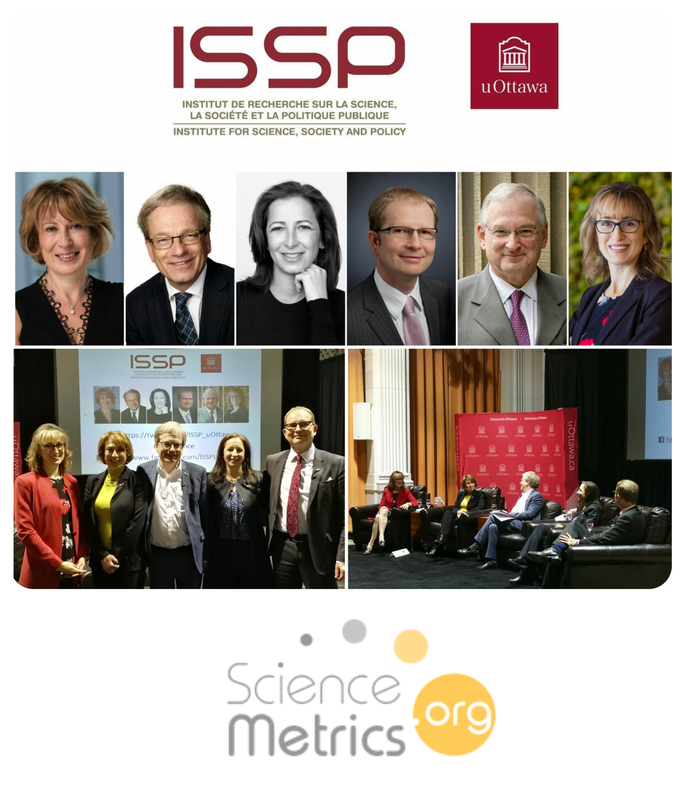 Visit here to read Restoring Canada's Competitiveness in Fundamental Research: The View from the Bench. 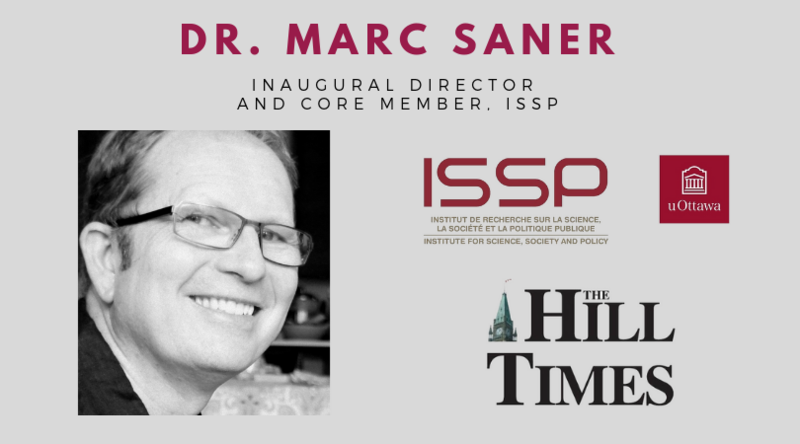 Independent article by Marc Saner, inaugural director of the ISSP. 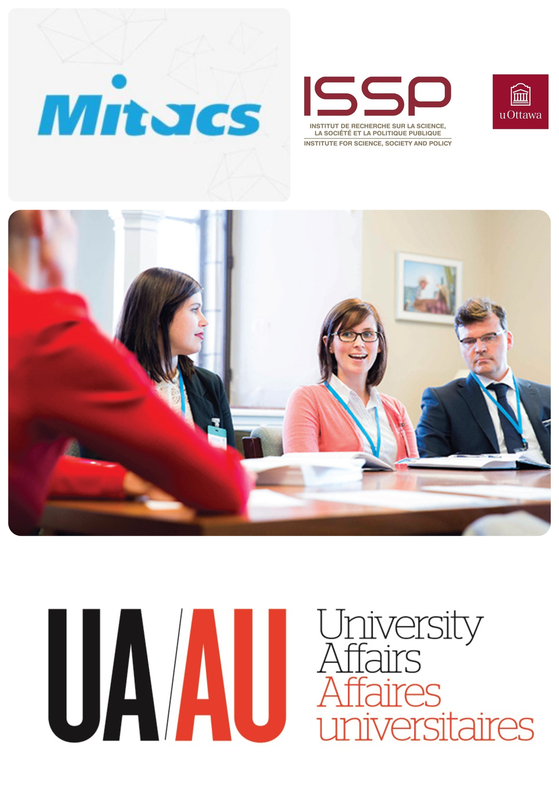 Eleven PhD grads are serving for one year in various federal departments around Ottawa, in University Affairs (29 mars 2017). 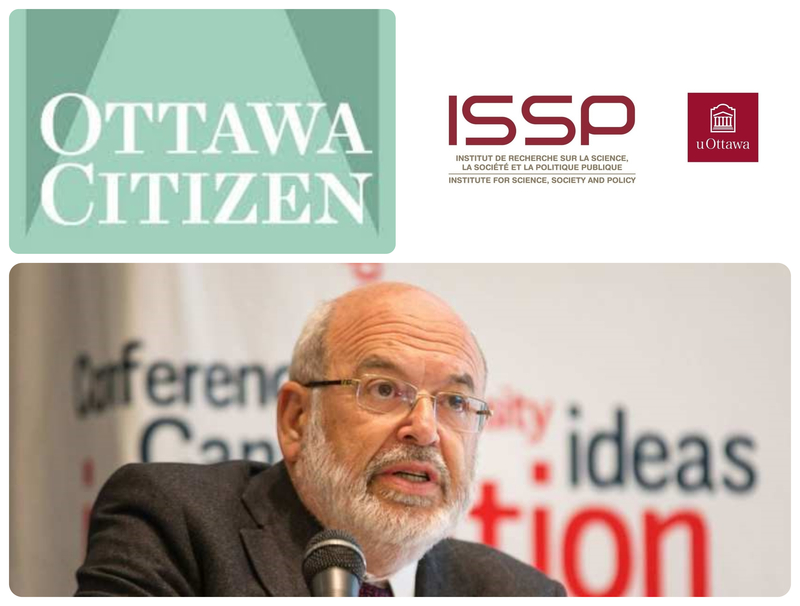 Media coverage of a special presentation, "Science advice in a troubled world," by Sir Peter Gluckman, Chief Science Advisor to the Prime Minister of New Zealand and Chair of the International Network of Government Science Advice, in the Ottawa Citizen (17 January 2017). Paul Dufour in The Globe and Mail (5 December 2016). What's fundamental about a fundamental science review? 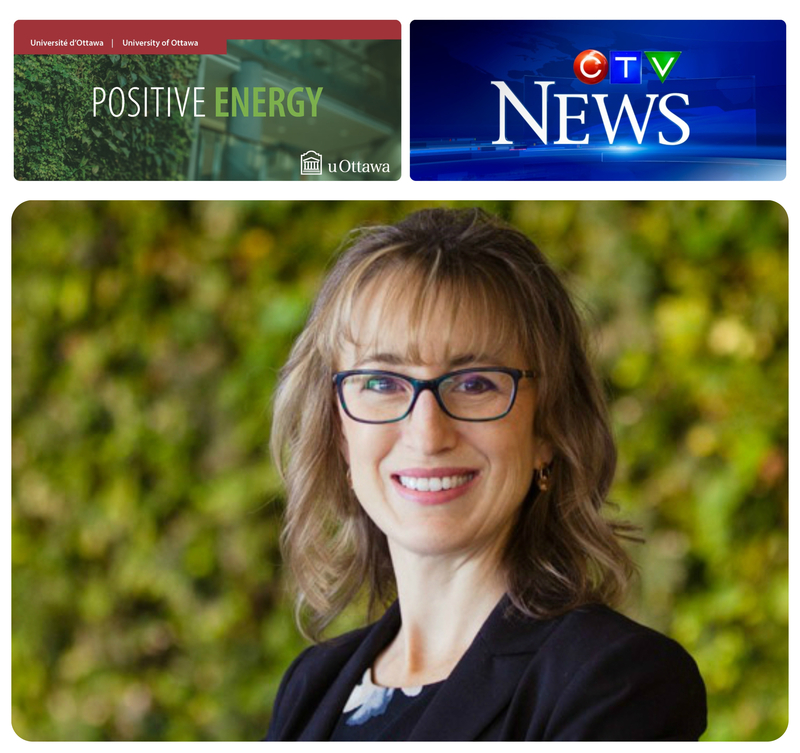 Article from CTV News with an interview by Monica Gattinger, Chair of Positive Energy and Director of the Institute for Science, Society and Policy of the University of Ottawa. 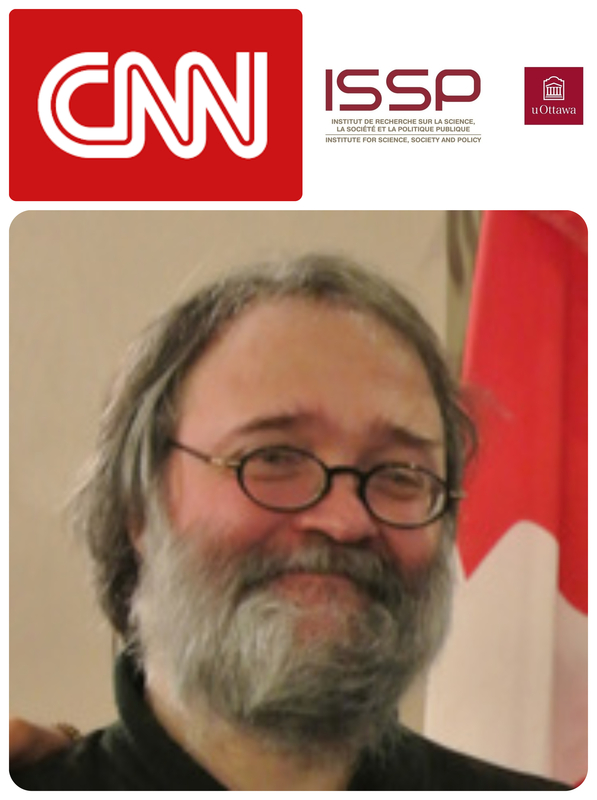 Gregor Wolbring on CNN (27 July 2016). 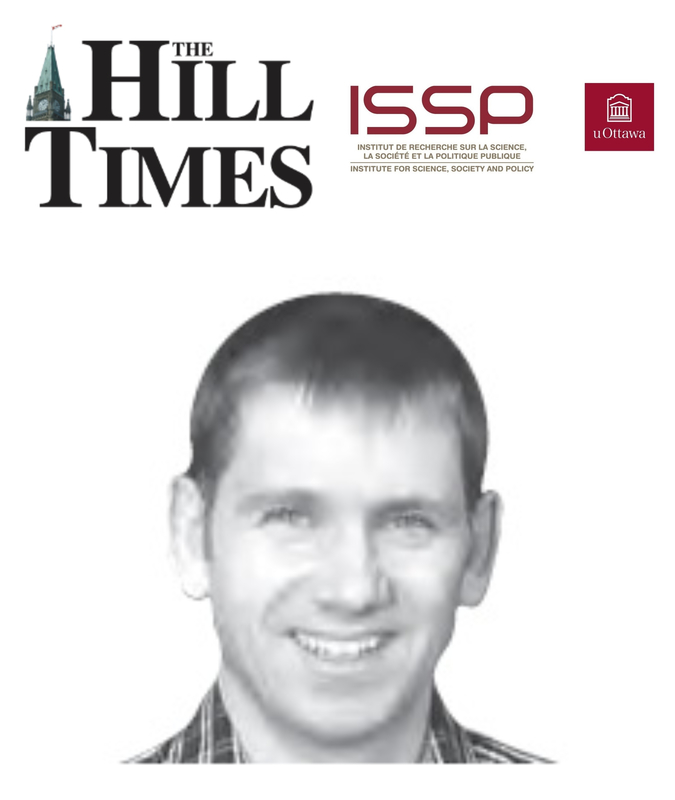 Op-ed article for the Hill Times by Jeremy Kerr, Core Member of the ISSP. 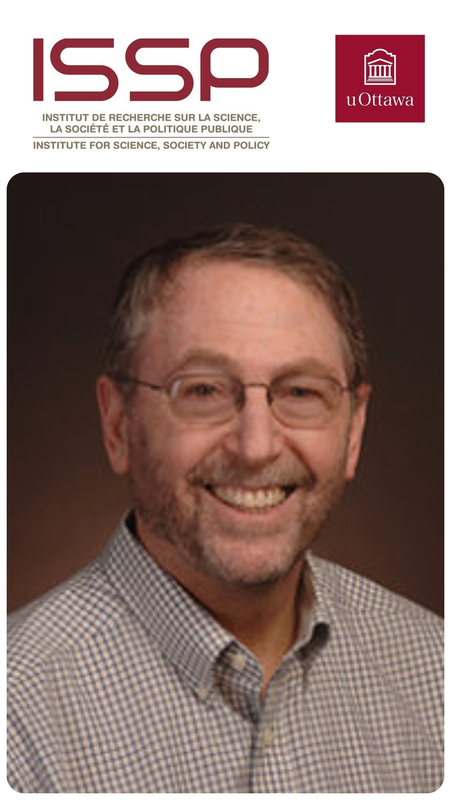 Article by Stephen Blank, 2015-2016 Fulbright Visiting Research Chair at the Institute for Science, Society and Policy, in charge of the project on Energy Literacy. 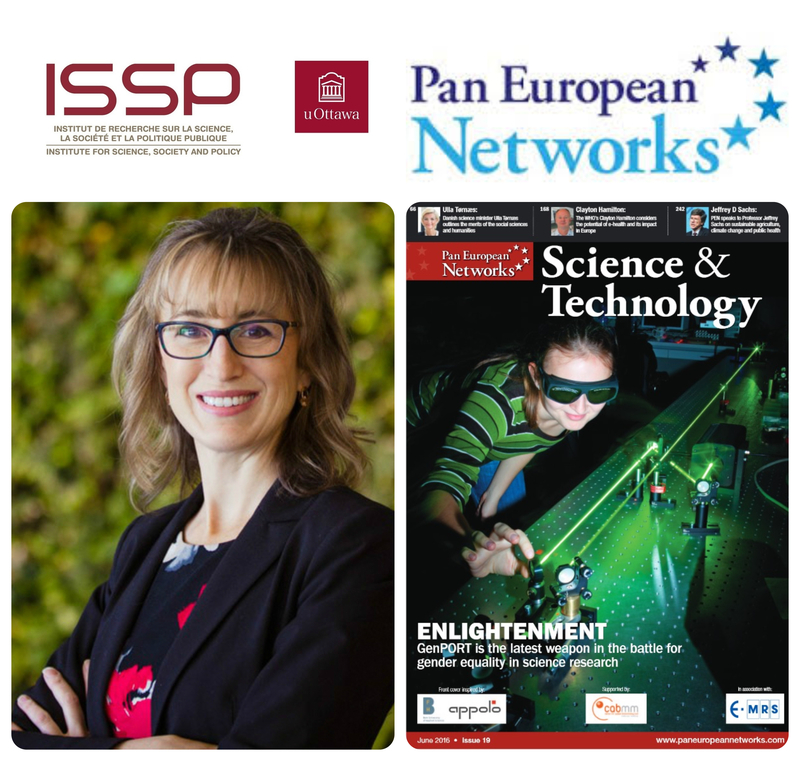 Article from the magazine Pan European Networks: Science & Technology featuring Monica Gattinger, Chair of Positive Energy and Director of the Institute for Science, Society and Policy of The University of Ottawa, is profiled in the . 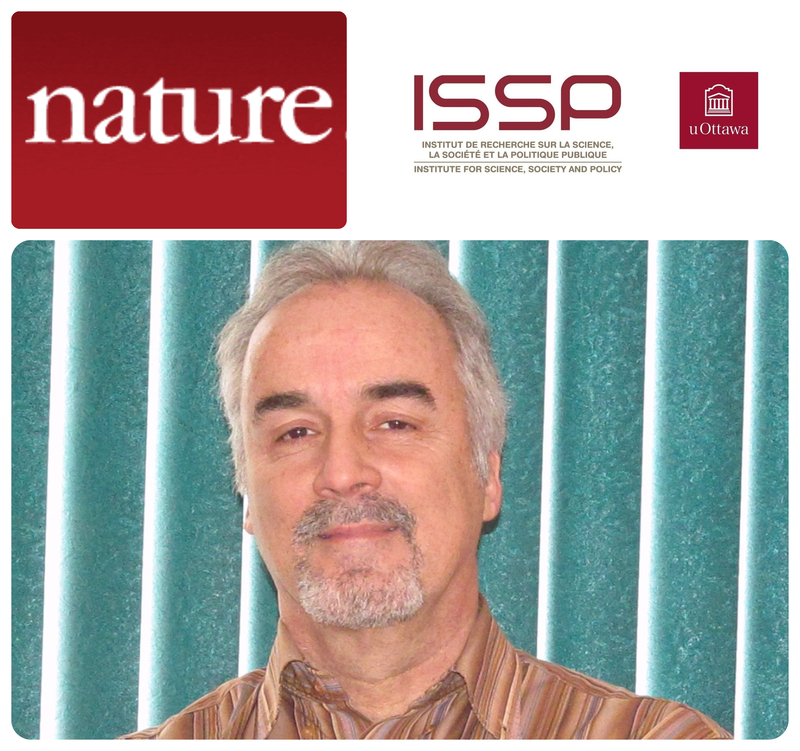 Paul Dufour in Nature (3 May 2016). 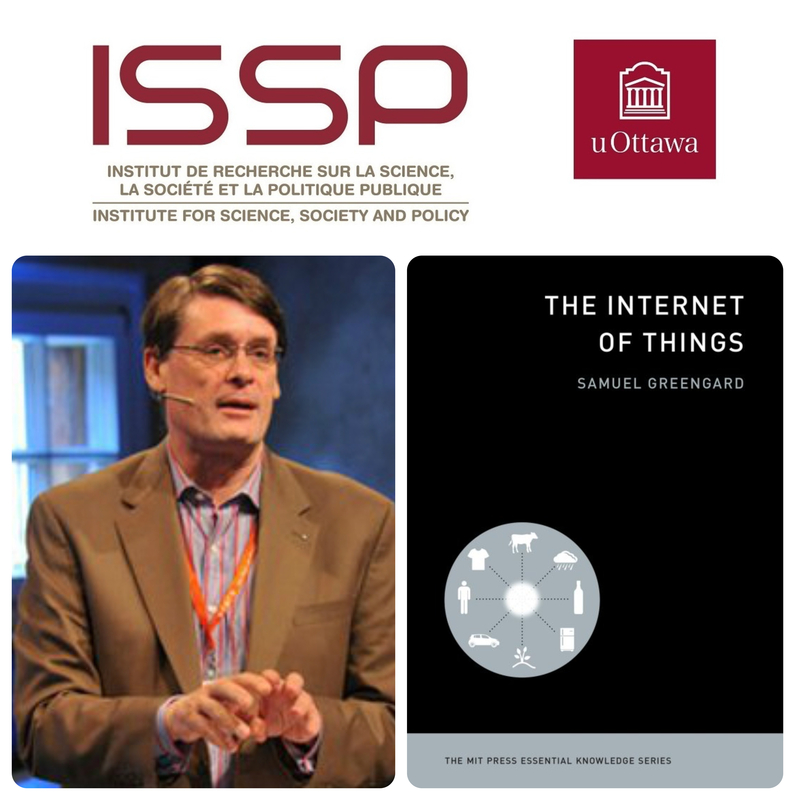 Book review by Nigel Cameron in Issues in Science and Technology (Spring 2016). 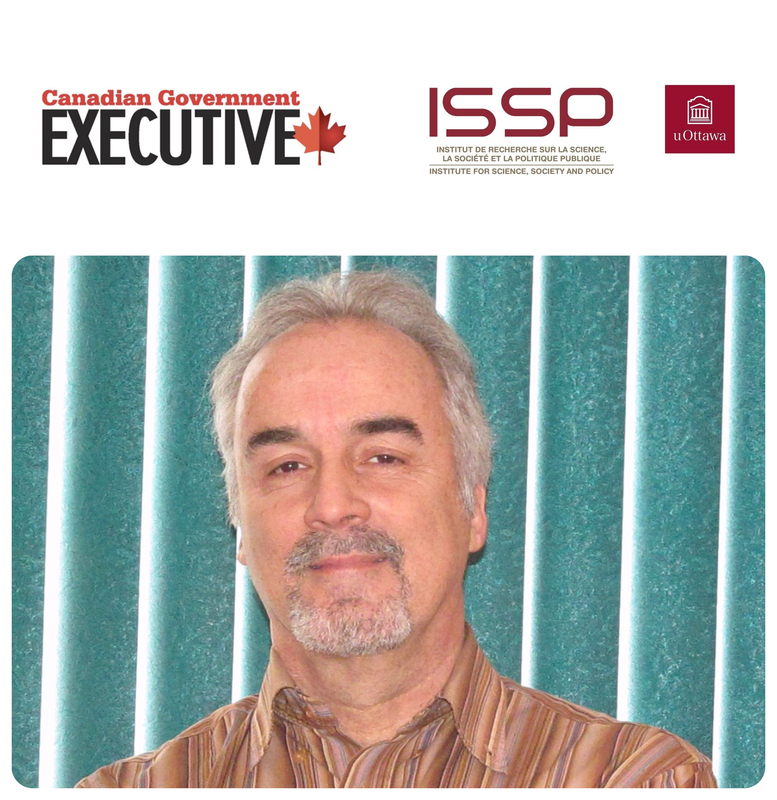 Paul Dufour in Canadian Government Executive (April 2016). 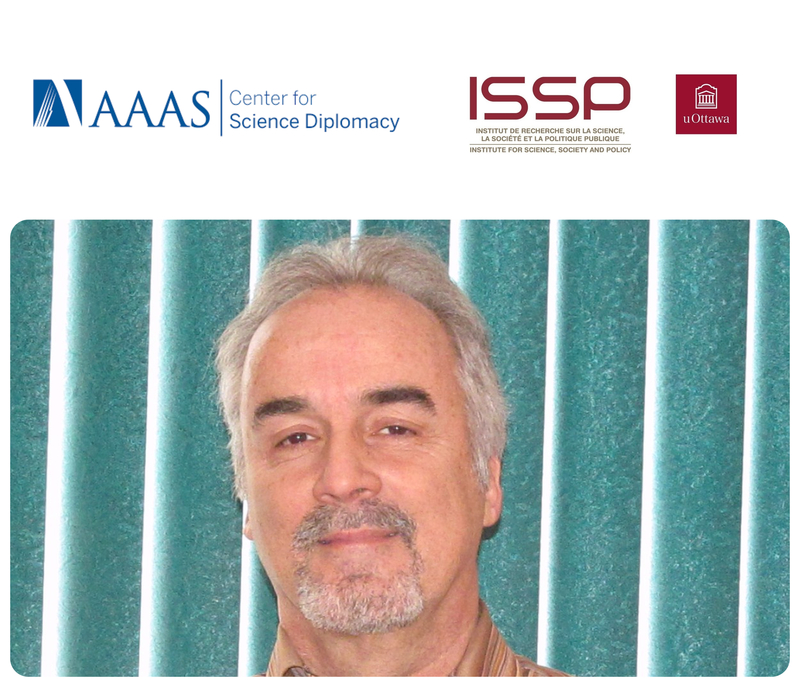 Paul Dufour in Science and Diplomacy (29 February 2016). Stewart Fast in the Ottawa Citizen (3 February 2016). 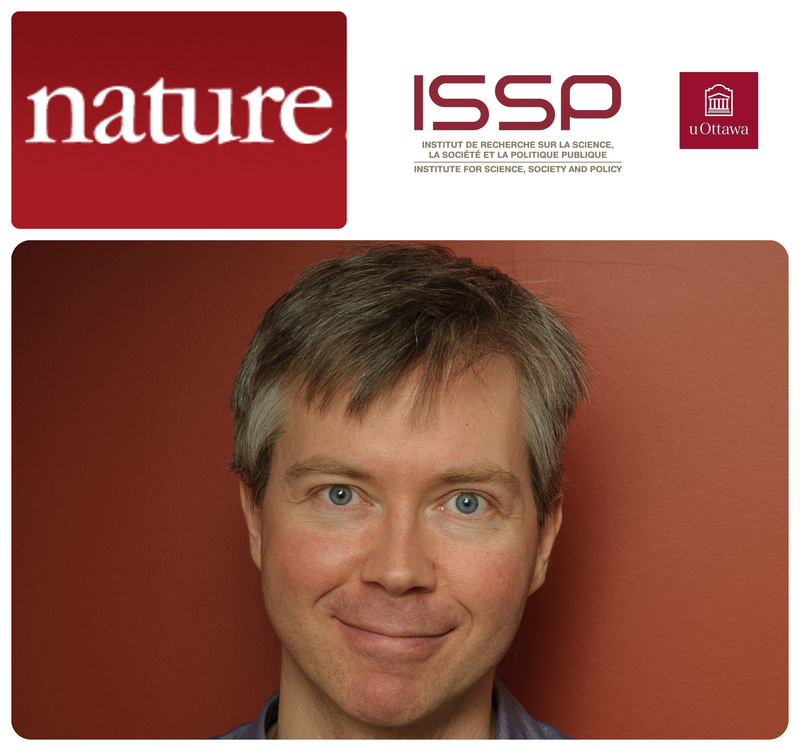 What will it take to make Ottawa take science seriously? Rees Kassen in iPolitics (3 February 2016). 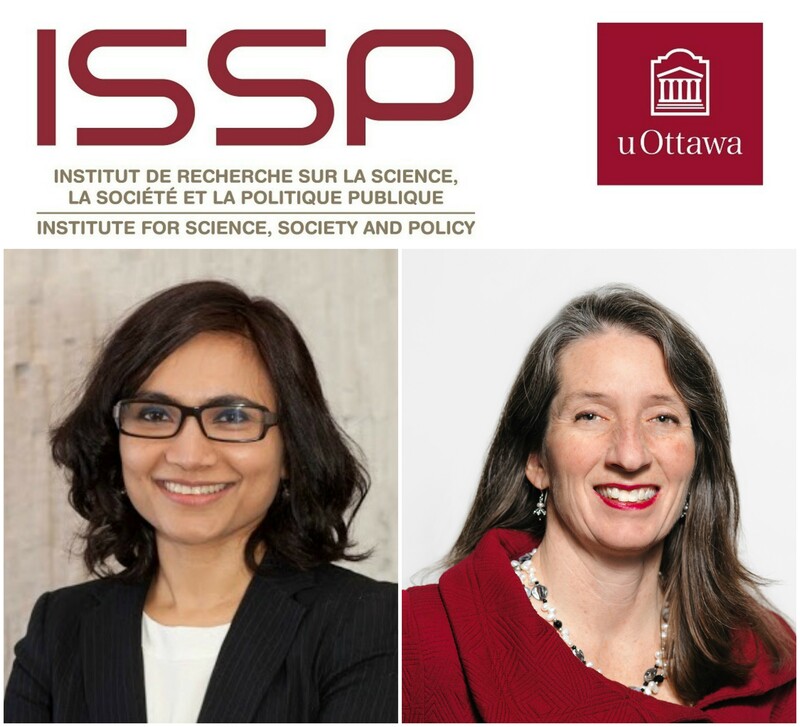 Media coverage of ISSP panel on Chief Science Officer in iPolitics (23 January 2016). 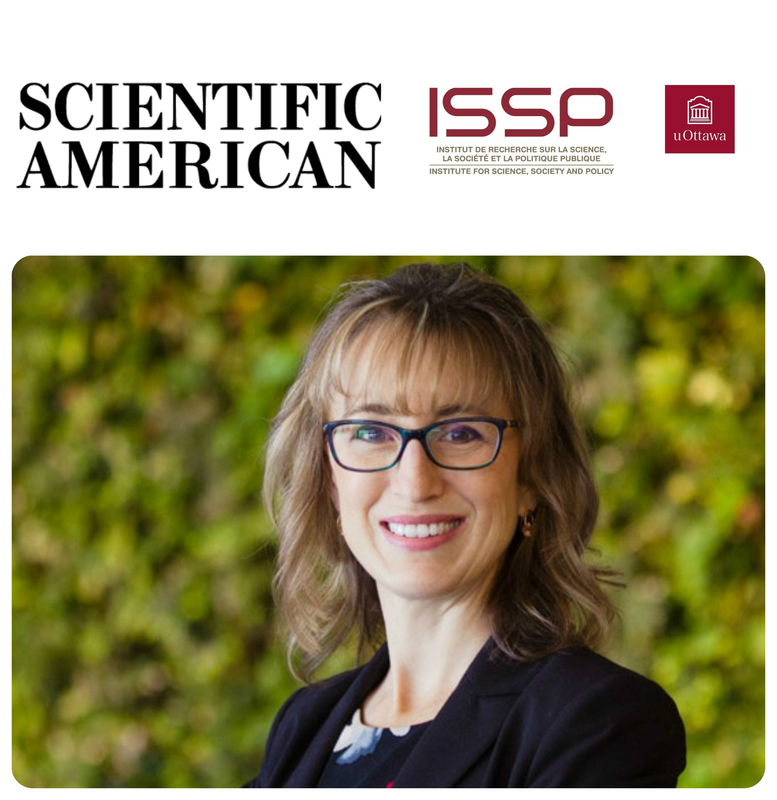 Article from Scientific American, featuring Monica Gattinger, Director of the Institute for science, society and policy.